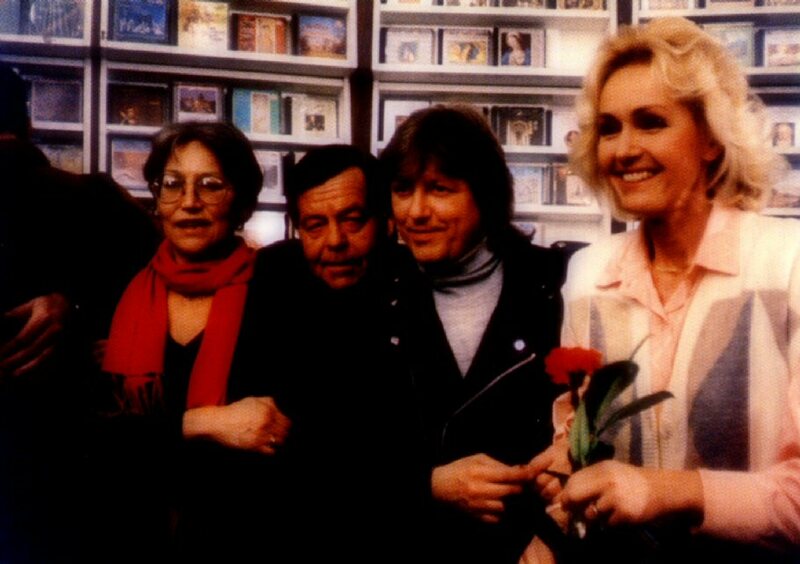 Helena Vondrackova always had lots of sincere fans in Poland even before the winning the Sopot Festival with "Malovany dzbanku" in 1977. The singer found the Polish market as probably the second important one after Germany. 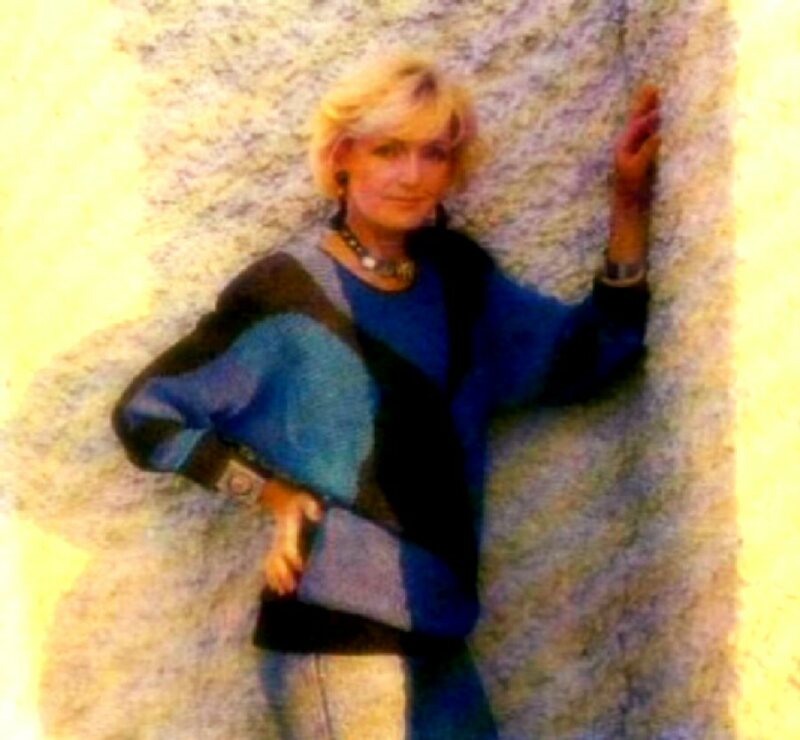 Helena's albums have been (and still are) released exclusively for Polish market regularly. 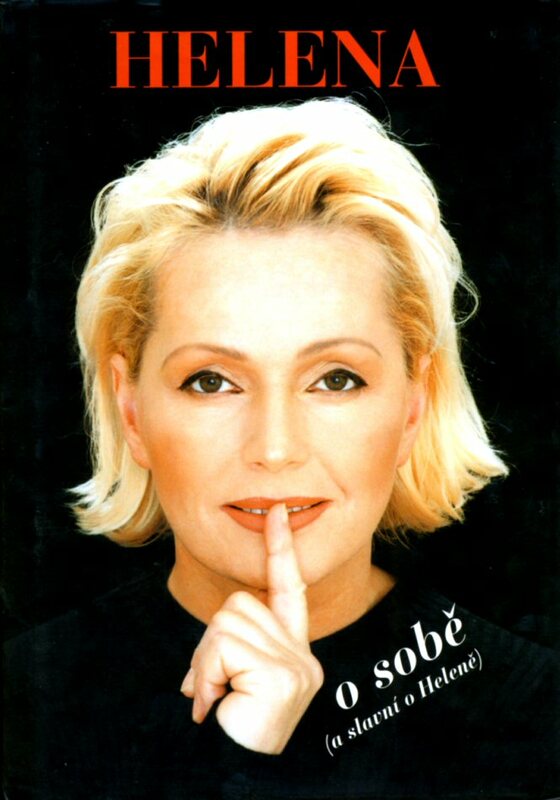 The English language album "I am Your Song" was released in Poland in 1990. 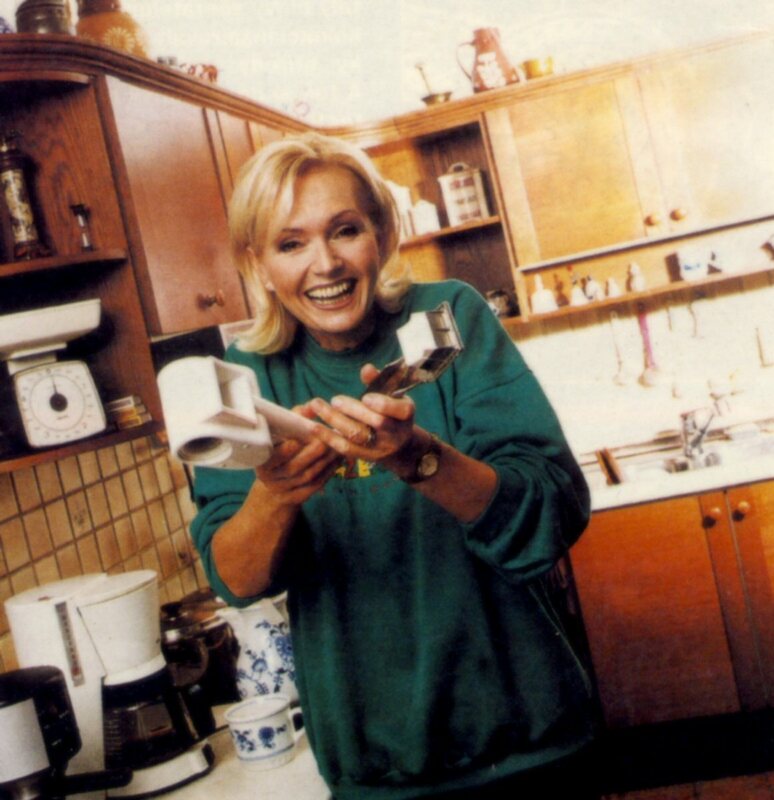 Helena chose 12 songs for the album, some of them were covers of world hits which previously had become hits in Czech versions in her homeland - one of them was Agnetha Fältskog's "The Heat Is On". This year was the first year of freedom and democracy in Czechoslovakia. 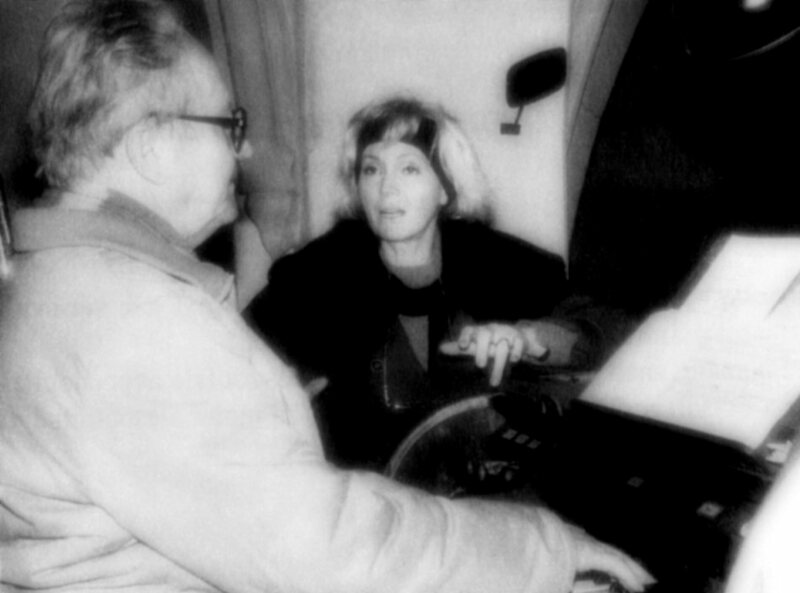 At the beginning of 1990 Helena quit her cooperation with state artistic agency Pragokoncert. She chose a new-started agency "Orion" as her new management. 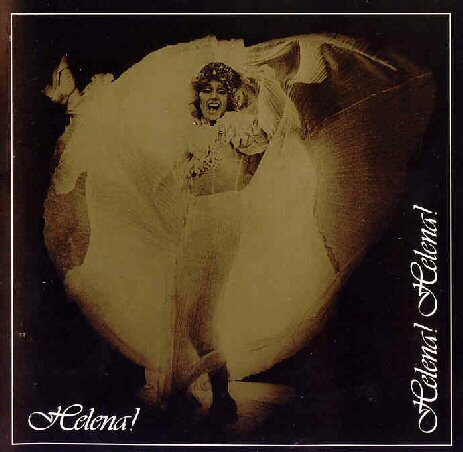 The only Helena release in 1990 in Czechoslovakia was a compilation album "Prejdi jordan a dalsi hity" (Prejdi jordan and other hits) which came out as LP, MC and CD at the end of the year. The compilation contained 15 songs. The compilation album was promoted officially by the record company Supraphon and Helena on 13 January 1991. 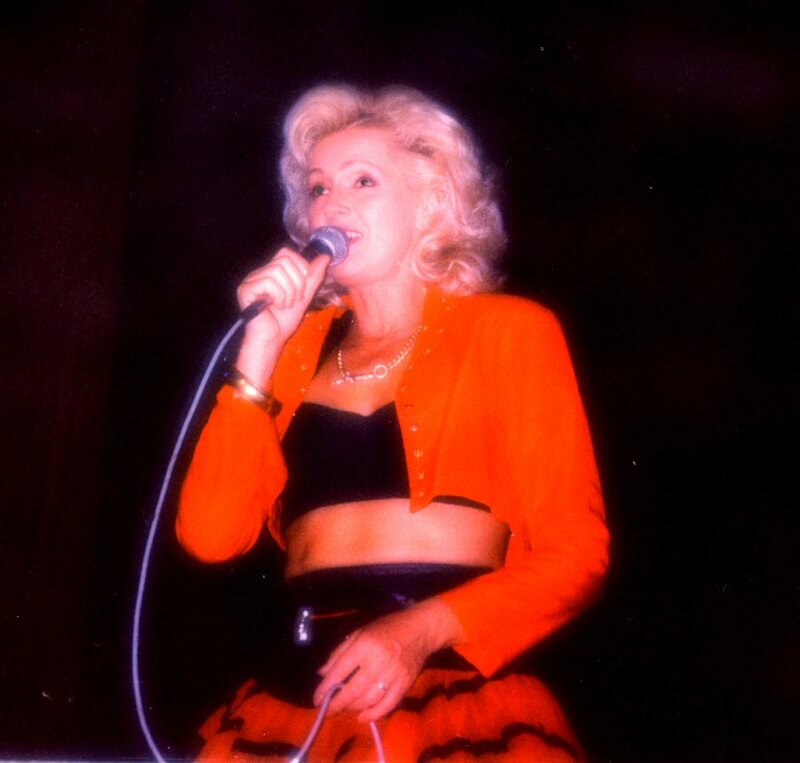 In the TV show "Televariete" in 1991 Helena presented two new songs that were planned for a forthcoming album release. 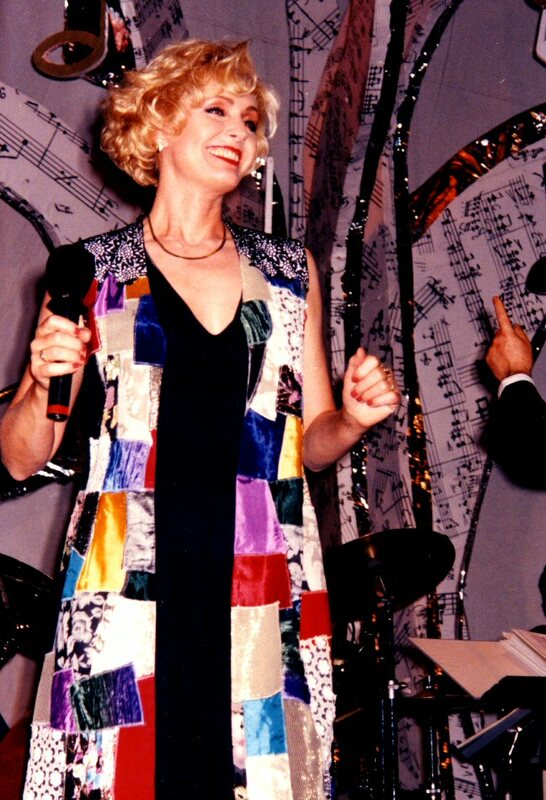 One of them was well-known hit "New York, New York" which Helena performed in English. At the beginning of 1992 Helena accepted an offer to play the role of Fantine in the musical "Les Miserables" which was under production. 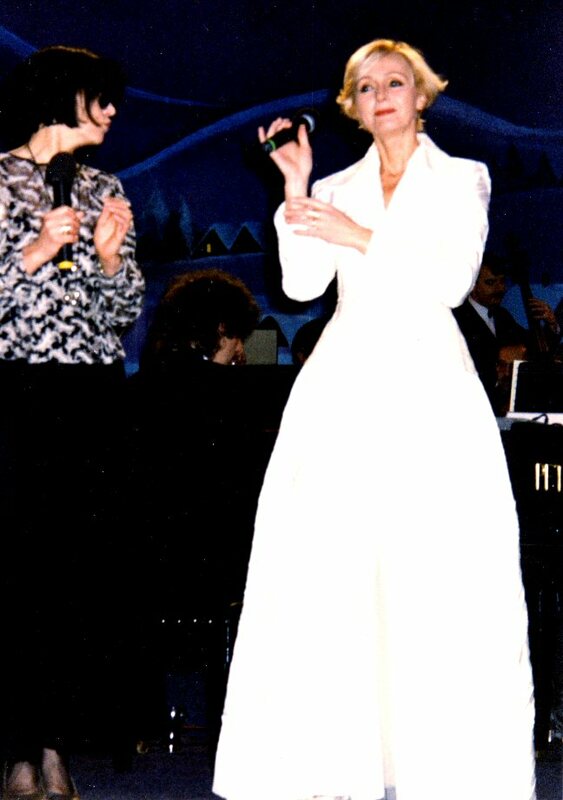 The musical had its premiere on June 25, 1992 Helena played at the Vinohrady theatre in Prague during the summer of 1992. 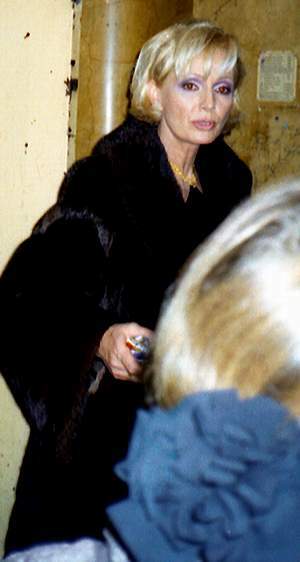 In May 1992 Helena participated in recording sessions for the soundtrack album "Le Miserables". 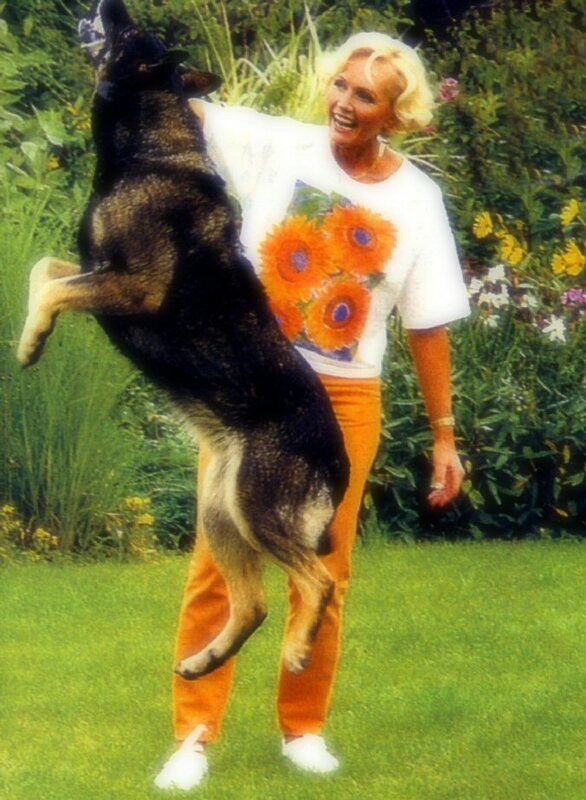 She had lead in 3 songs. The double LP contained totally 23 tracks. Silene smutna princezna (A very sad princess). 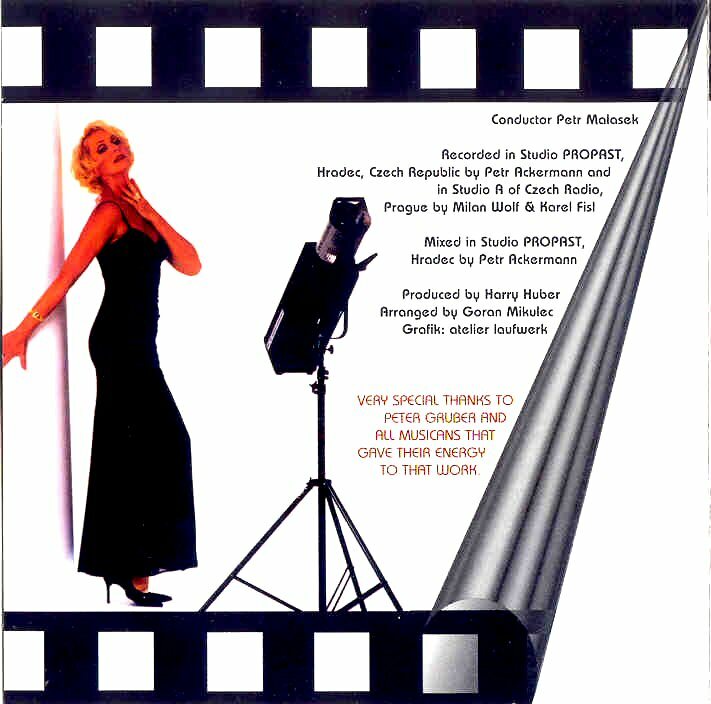 The soundtrack from the film "Silene smutna princezna" was released on CD in 1992. 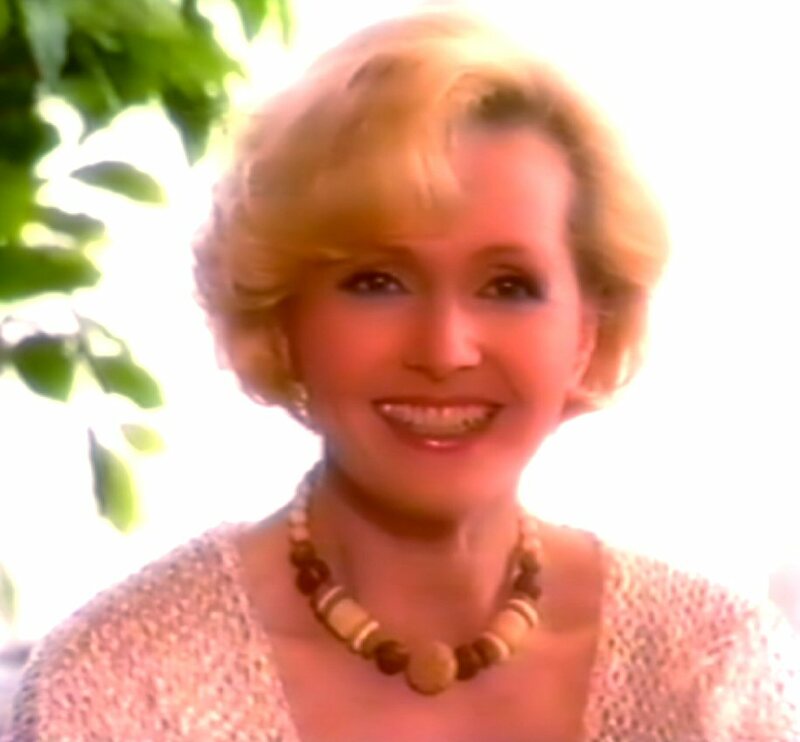 The main parts in this film from 1967 were played by Helena and Vaclav Neckar. 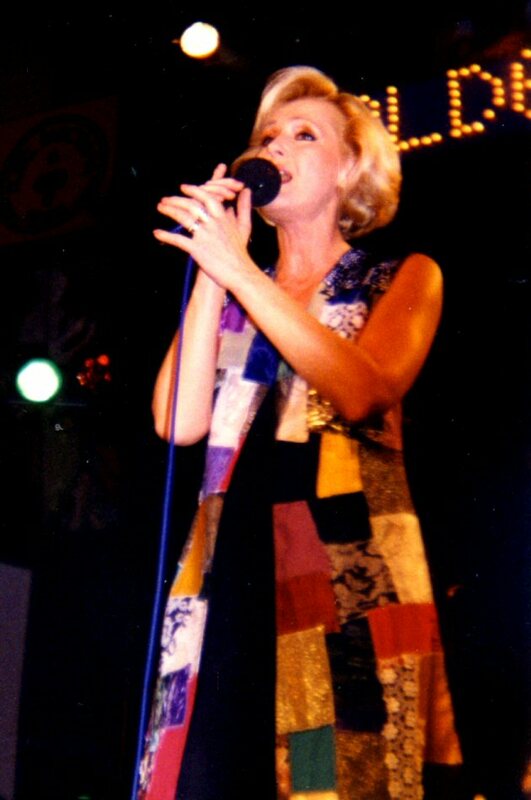 Helena performed 4 songs on the compilation. 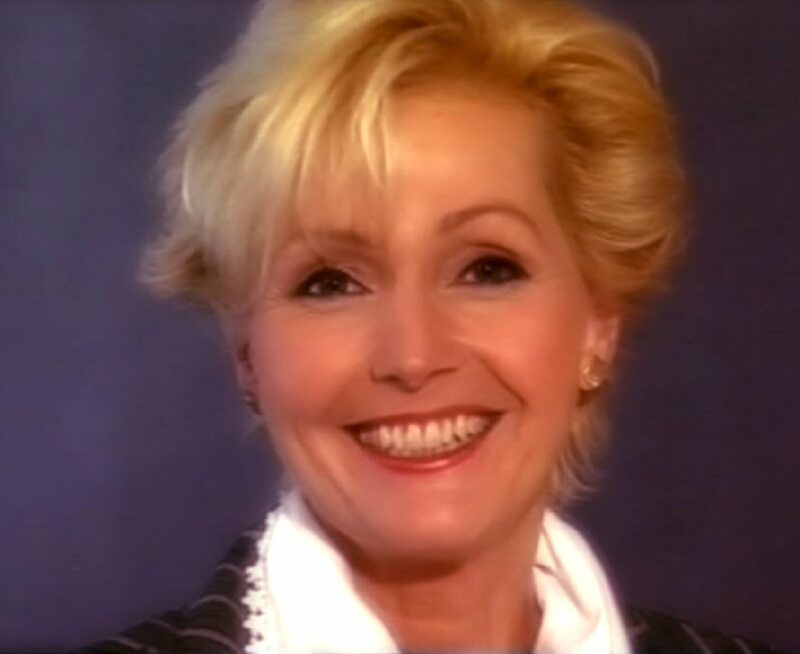 In 1992 the record company "Supraphon" released one more compilation album entitled "Kam zmizel ten starý song" which featured Helena's 21 biggest hits recorded by the artist between 1964 and 1985. The first studio album in the 1990s Helena released at the beginning of 1993. 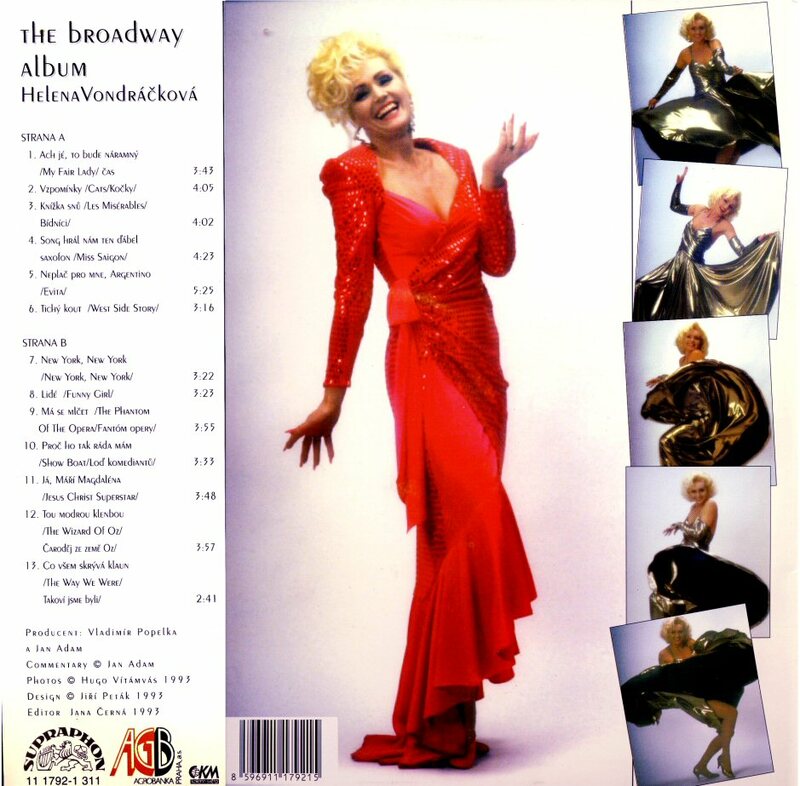 The new LP/CD entitled "The Broadway album" featured songs from well-known world musicals and was recorded in both Czech and English language versions. The English version of the album was released in 1994. The album with 5 bonus tracks was re-released in 2002. 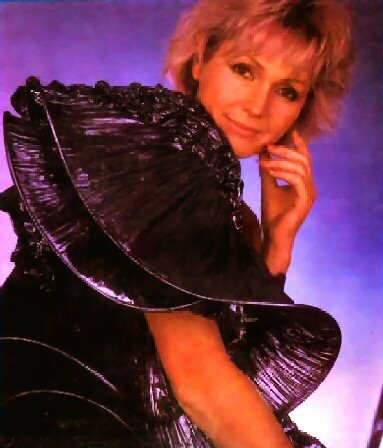 Photo sessions for the album featured Helena in her glossy skirts. 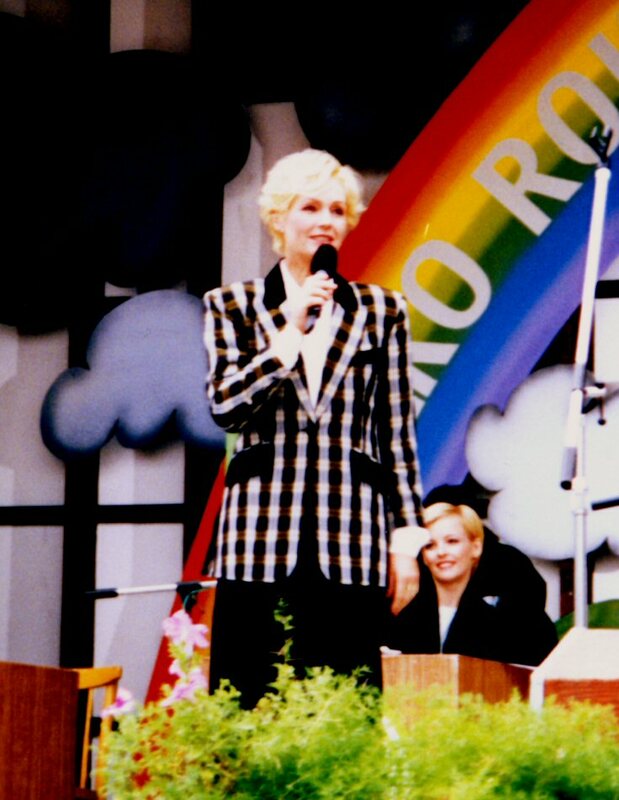 Helena appeared in Poland on the International Sopot Festival at the end of August. 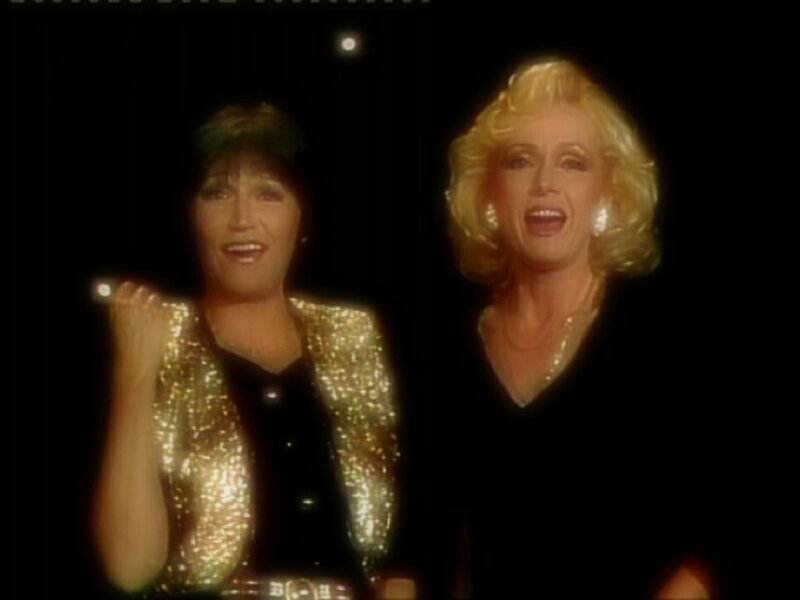 She was singing some of her greatest hits as a guest star. 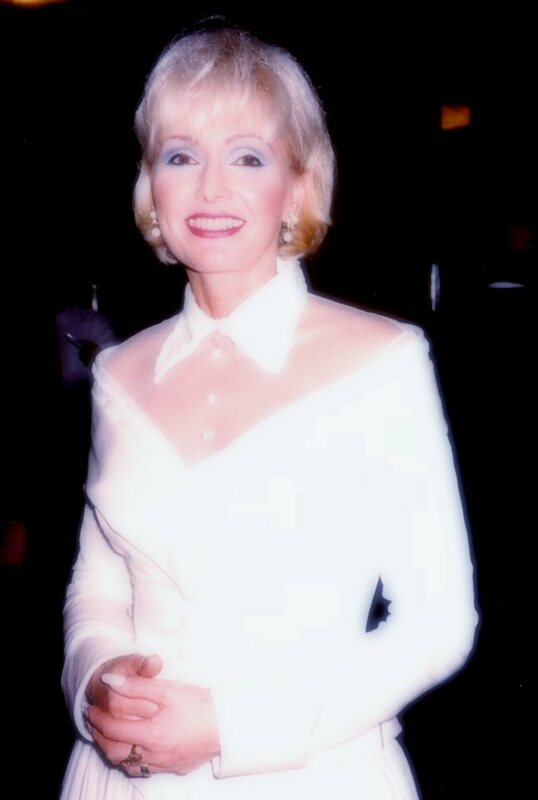 Adam Novak created an idea of a big musical project "With Helena to Broadway". The new album was promoted with two concerts at the Vinohrady theatre in Prague. 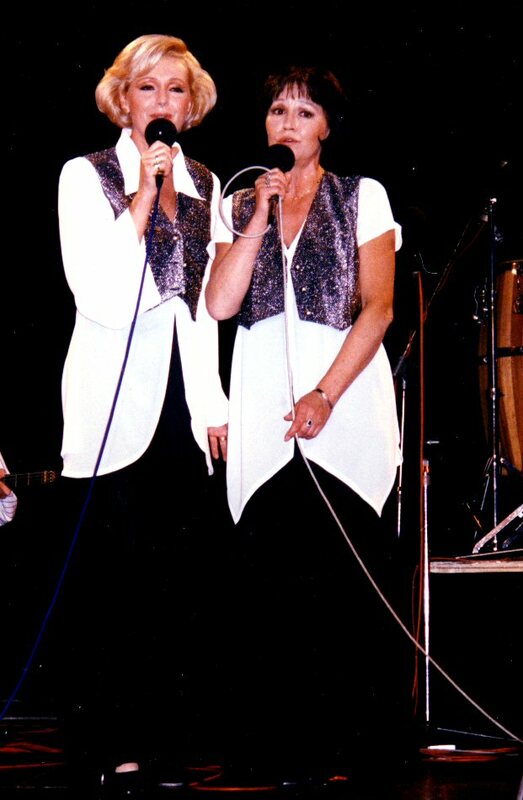 The shows were extremely successful and all tickets were sold out directly after their release. 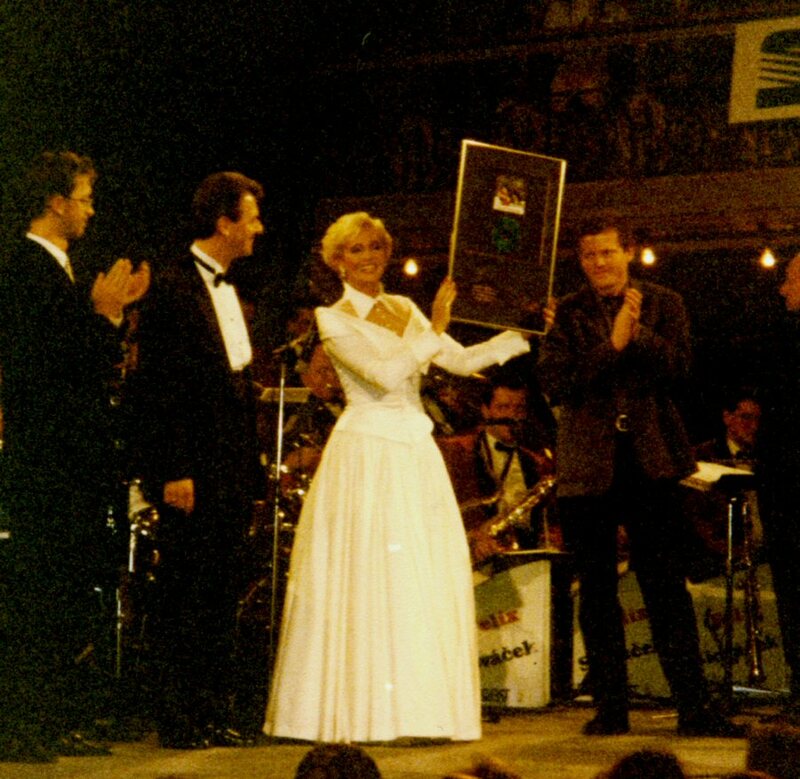 During the evening Helena received a platinum record for 4,5 million albums sold in Czech Republic. Special guests during the evening were Karel Gott and Jiri Korn. After two successful nights at Vinohrady theatre the promotional trip went to Broadway in New York. 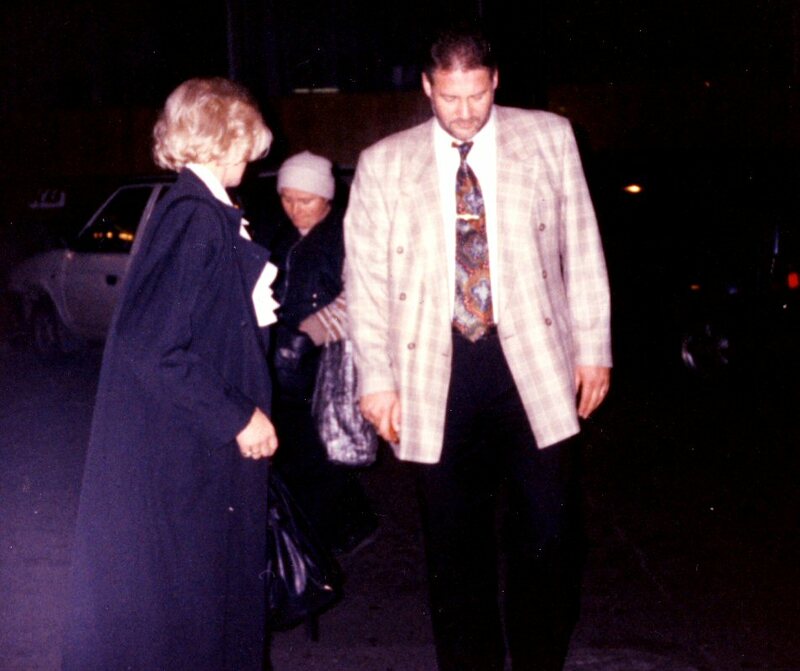 Helena and the TV team went to New York in October 1993. 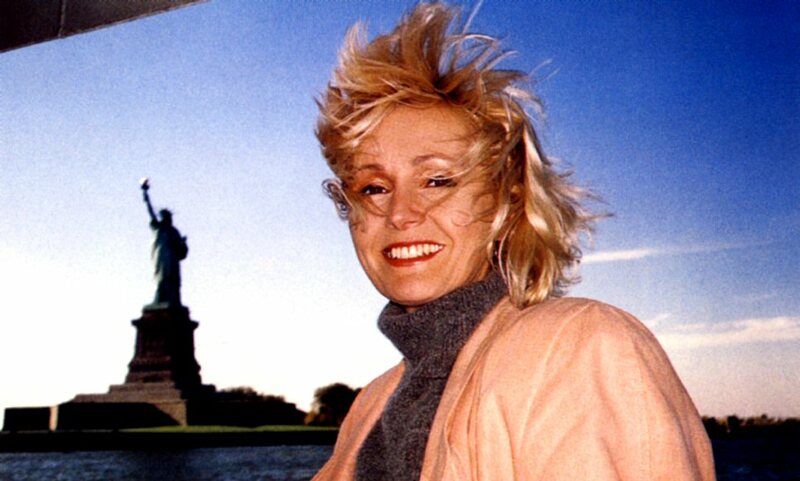 Helena remembers: "We worked very hard during our stay in New York. We filmed from 8 am until late evening every day. We filmed some nights as well. I felt myself like a squeezed lemon. 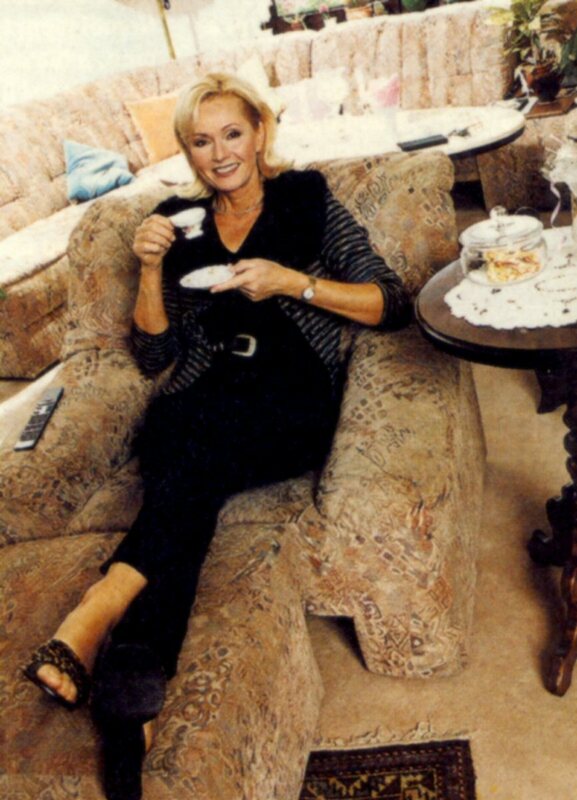 But I managed to see some musicals during my time off." 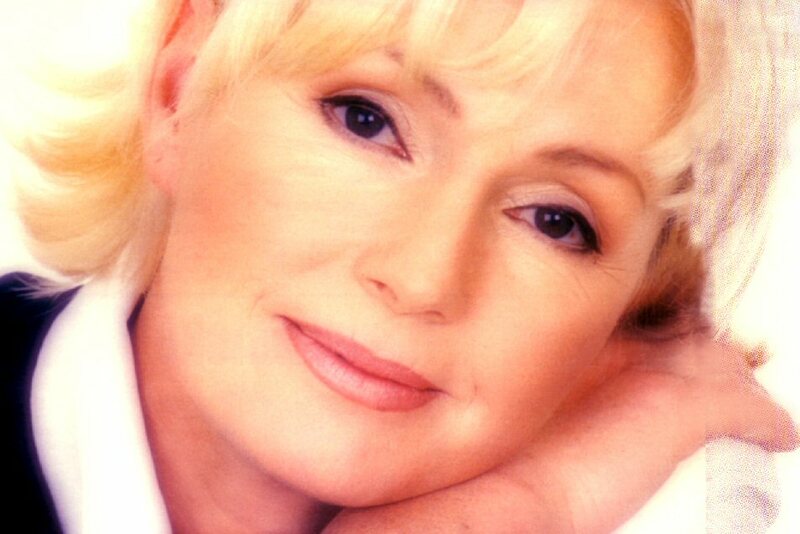 In 1993 the record company Supraphon pushed by Helena released greatest hits of Golden Kids on LP and CD. The LP contained 18 songs and CD 22. 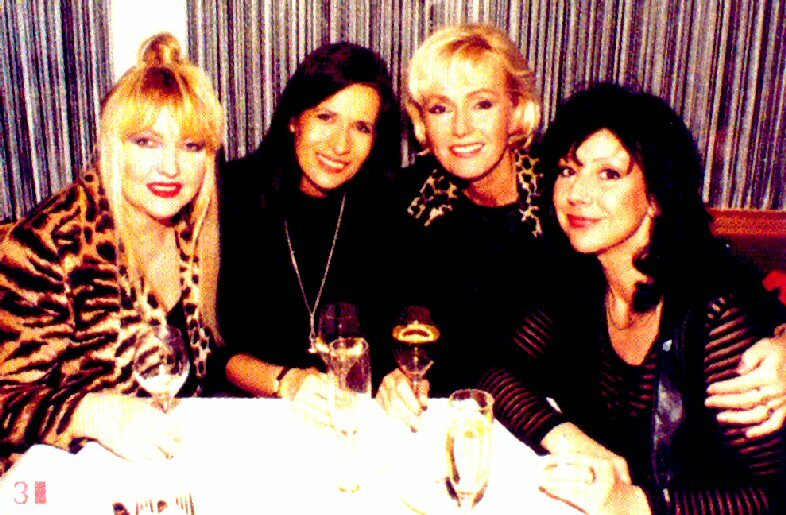 After the Revolution Helena, Marta and Vasek met each other on stage already in December 1989 as soon as Marta was allowed to perform again. 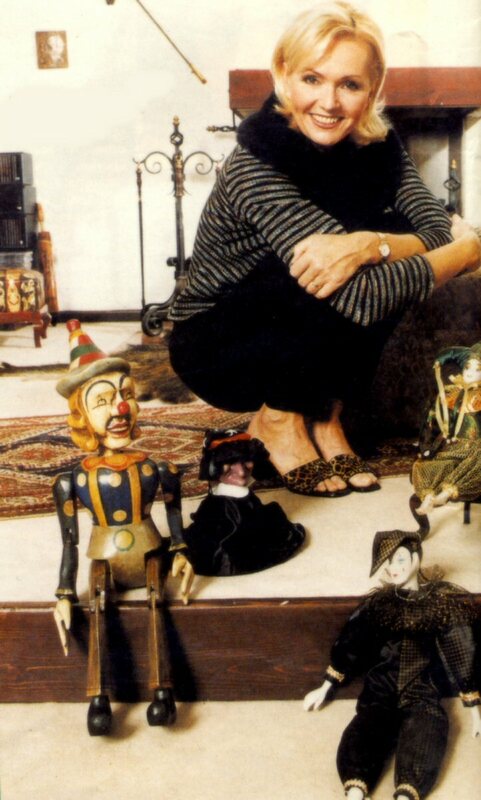 Helena was very engaged in preparations to the comeback of Golden Kids on stage. Surprisingly Helena and her father gave a Christmas concert at the church of Saint Martin in her hometown Slatinany. 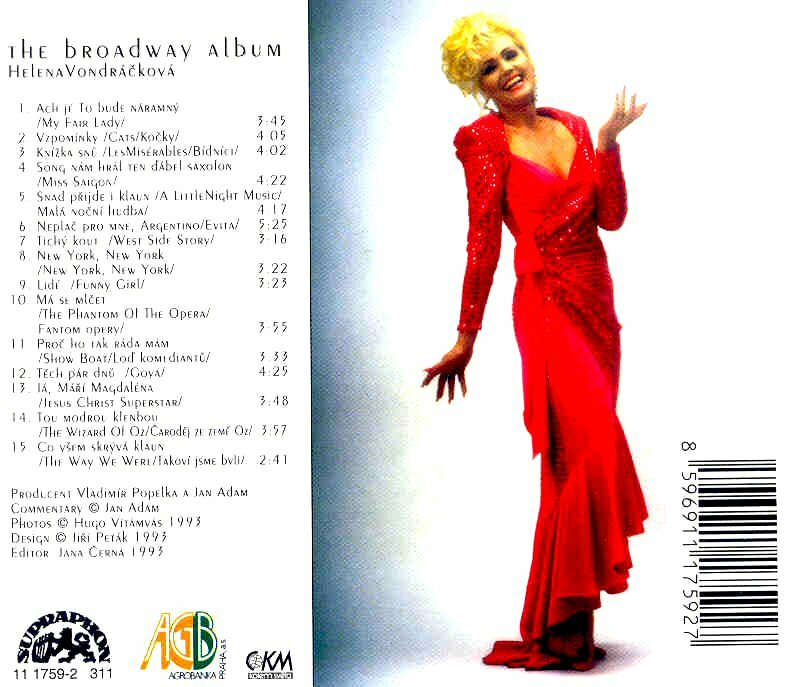 The English language version of "The Broadway Album" was released in Germany in 1994. 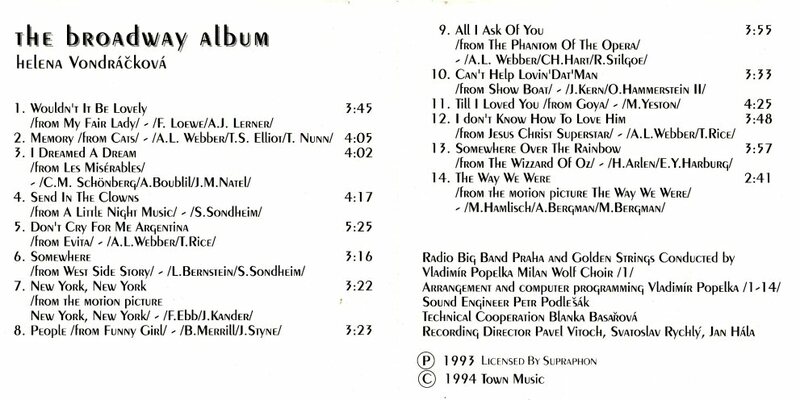 This version of the album featured 14 songs and it was distributed by German record company "Town Music". No new album release was planned in 1994. 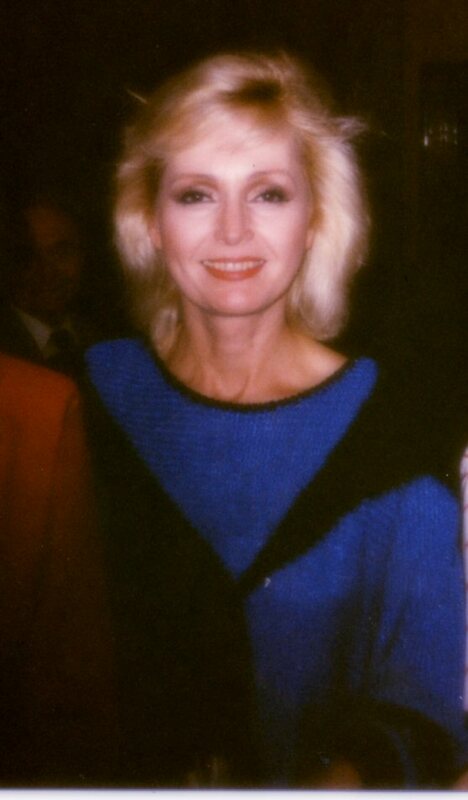 Helena participated in a couple of musical projects which effected in two single releases. 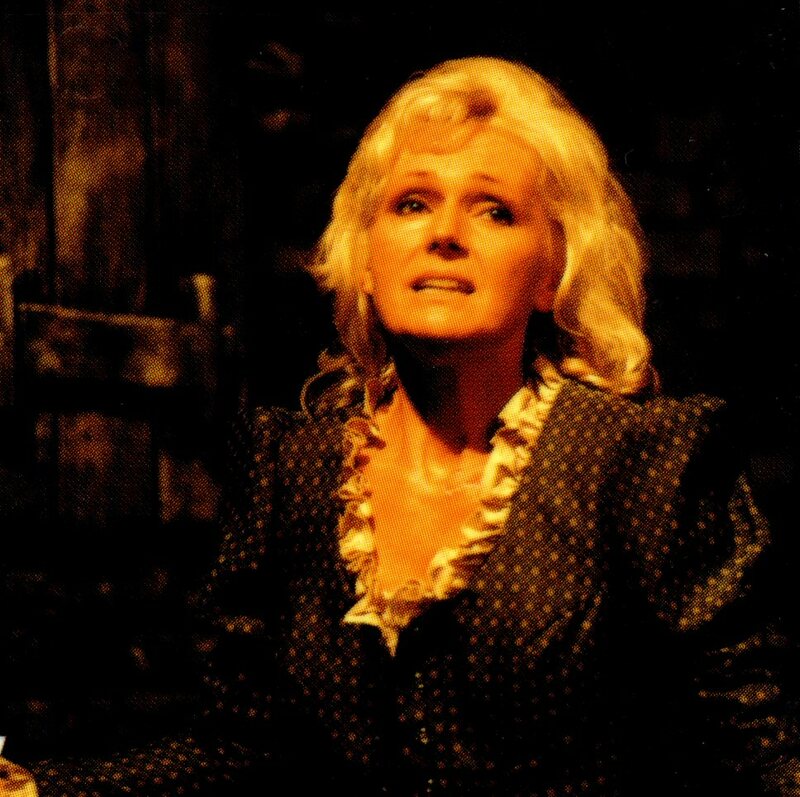 In June she celebrated her birthday at the theatre playing Fantine in "Les Miserables". 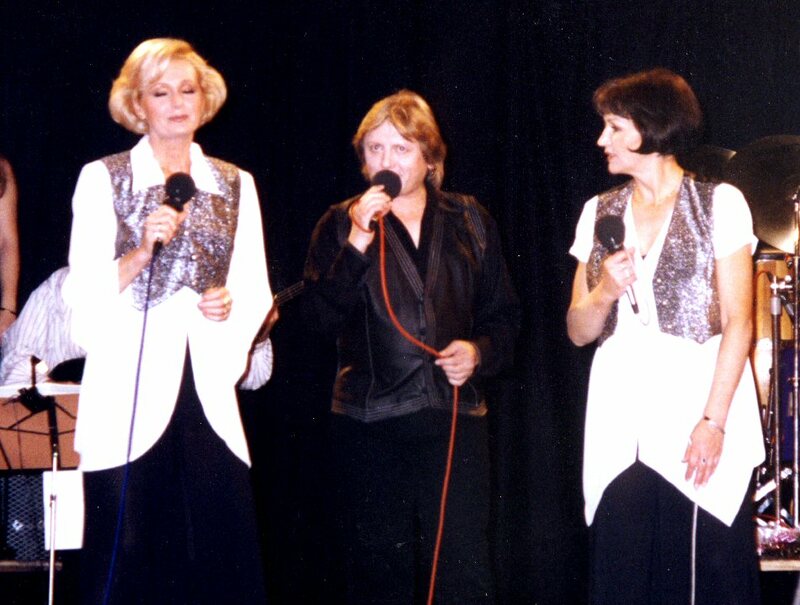 The year 1994 meant comeback of the most successful Czech group in late 1960s Golden Kids - the Czechoslovakian ABBA before ABBA as the group was called many years later. 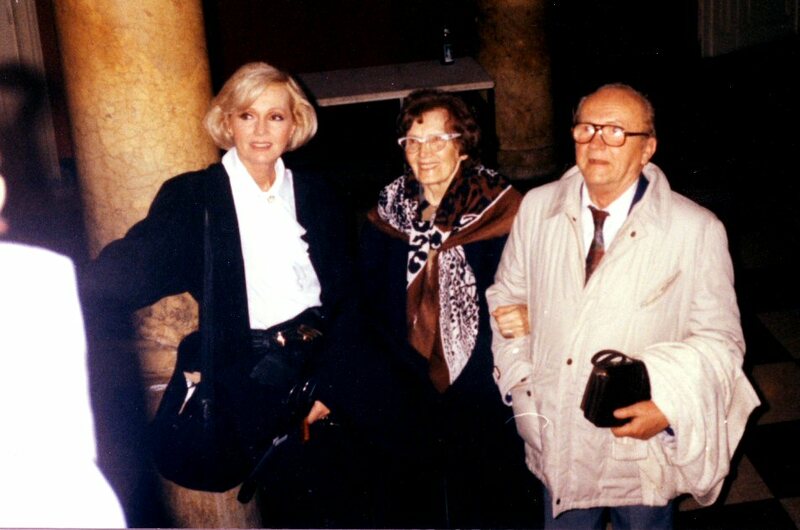 The group members were Helena, Marta Kubisova and Vaclav Neckar. 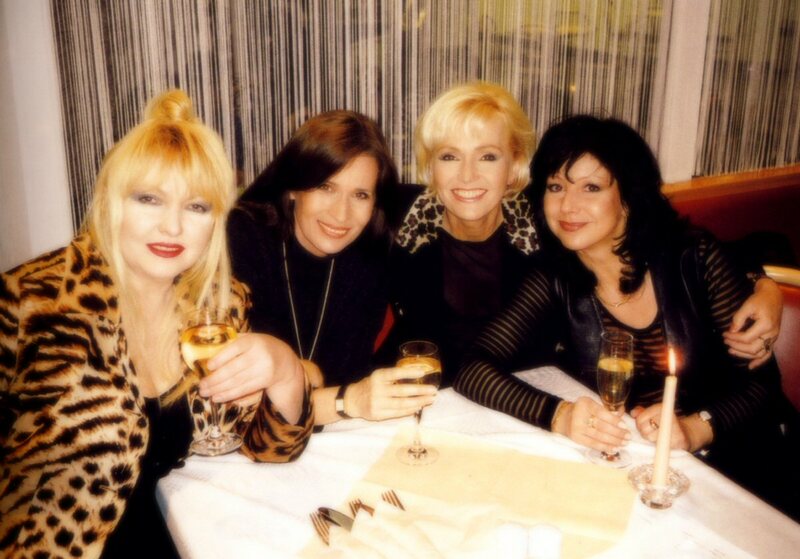 Czech TV approached the former group members at the beginning of 1994 with the proposal of making several shows for TV and some live concerts at the Lucerna Concert Hall in Prague. 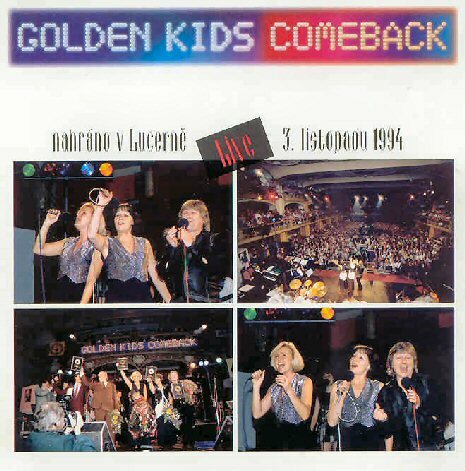 The Golden Kids comeback concert at "Lucerna" on 3 November 1994 was sold out. Golden Kids performed as a group for the first time in 24 years. 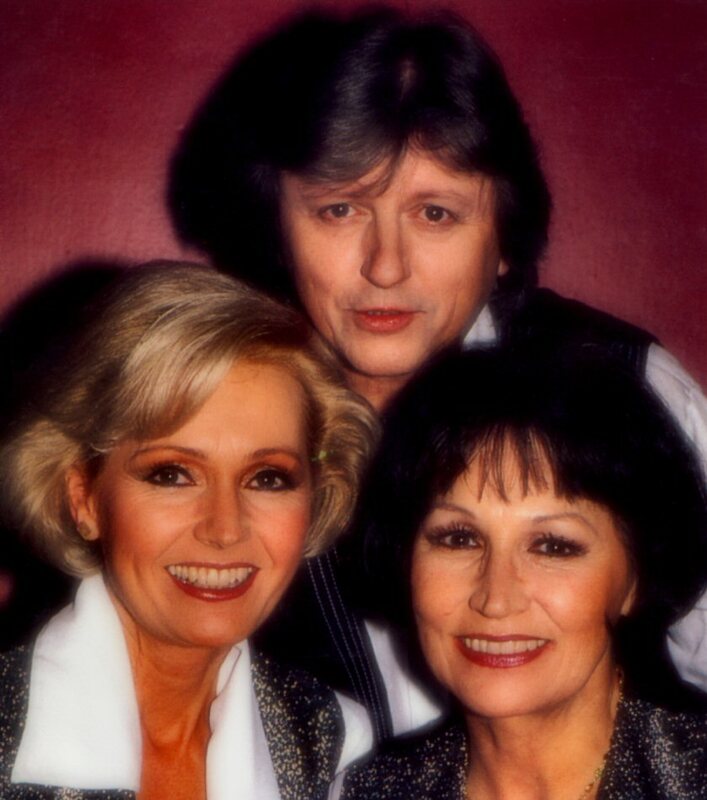 Helena, Marta and Vasek sang all their old great hits and Czech TV filmed the concert for broadcast later the same year. The hottest Christmas present in 1994 was the CD with the whole concert from Lucerna which was released by Supraphon at the end of the year. 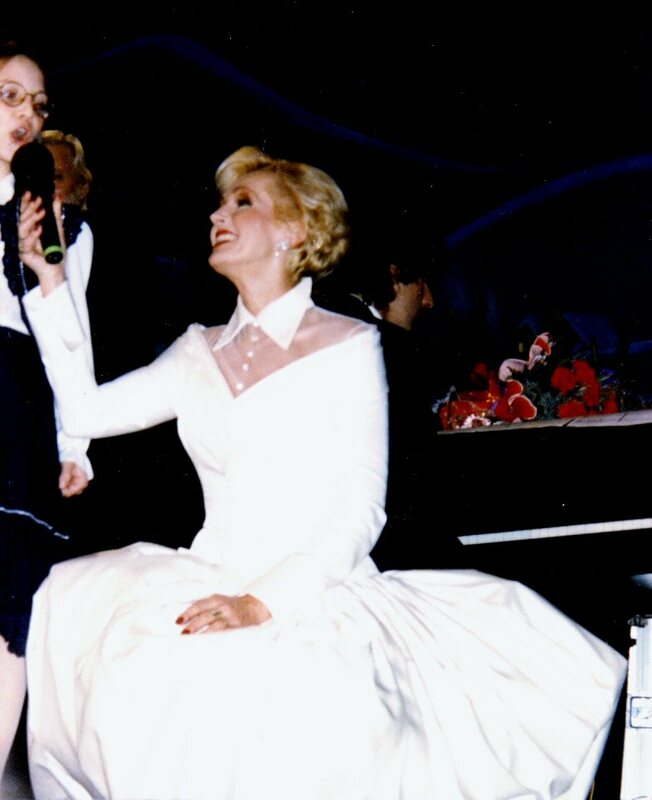 Due to the great popularity of the "Broadway album" Helena made several "Broadway" performances on stage in Czech Republic and Slovakia in 1995. 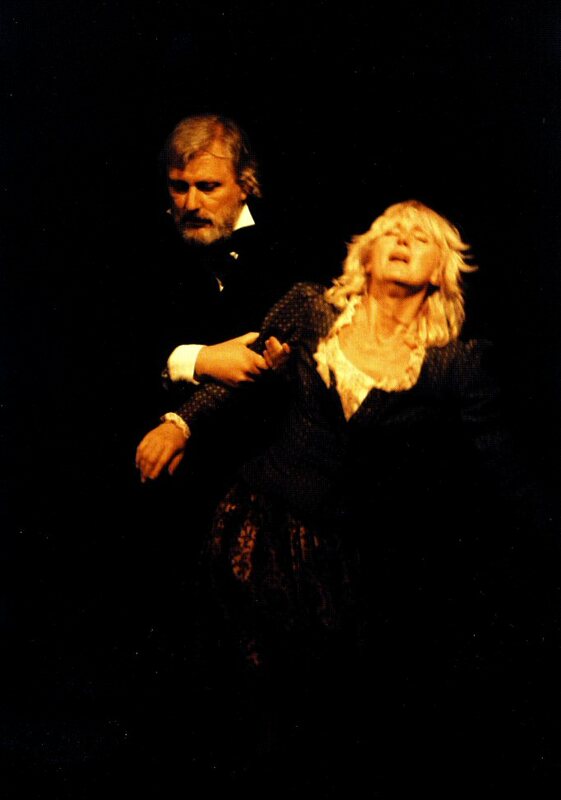 The new premiere of the show took place at the Vinohrady Theatre on 26 February 1995. Helena appeared in a very popular TV show "Do not hesitate and film it" where she gave an interview and performed "New York New York". 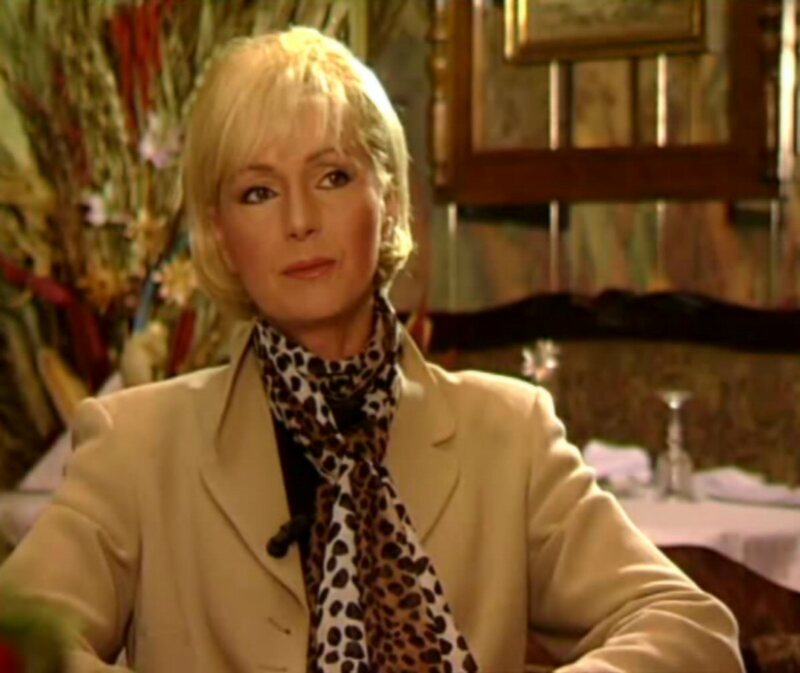 Helena and her old good friend Jiri Korn got together again and made several fabulous appearances on Czech TV. 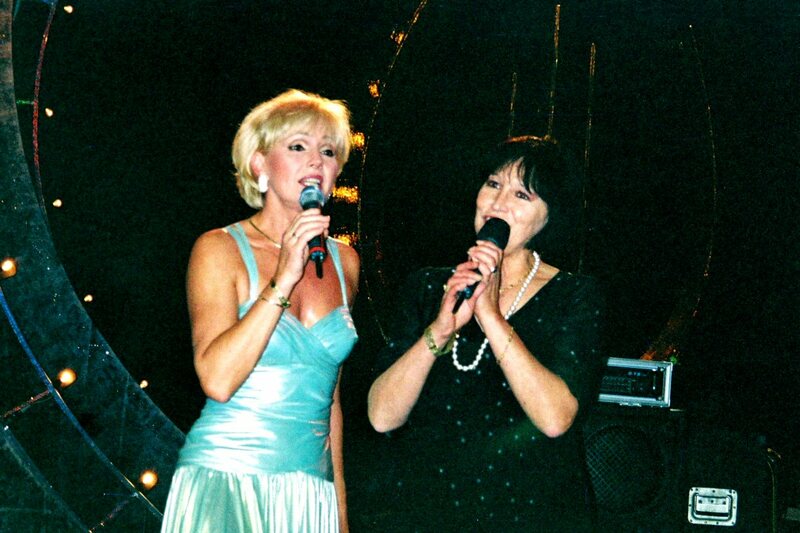 Helena and Jiri performed Fred Astaire Medley and other musical related songs. Helena still used her "Broadway" dress. 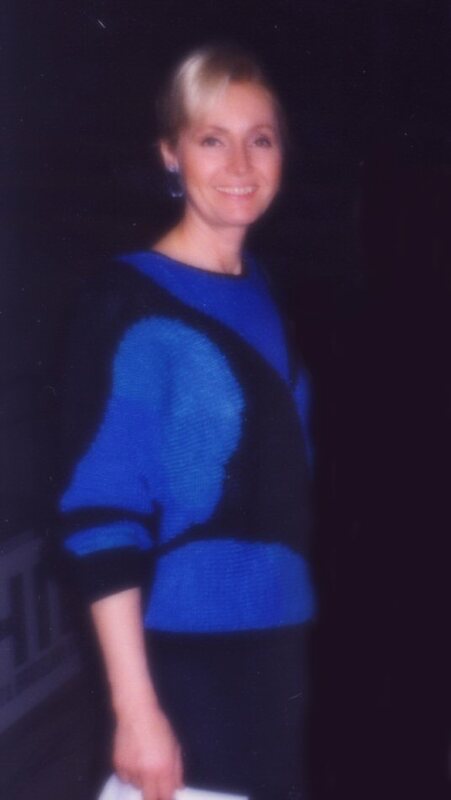 In June 1995 Helena started recording sessions for her new studio album with Christmas songs. 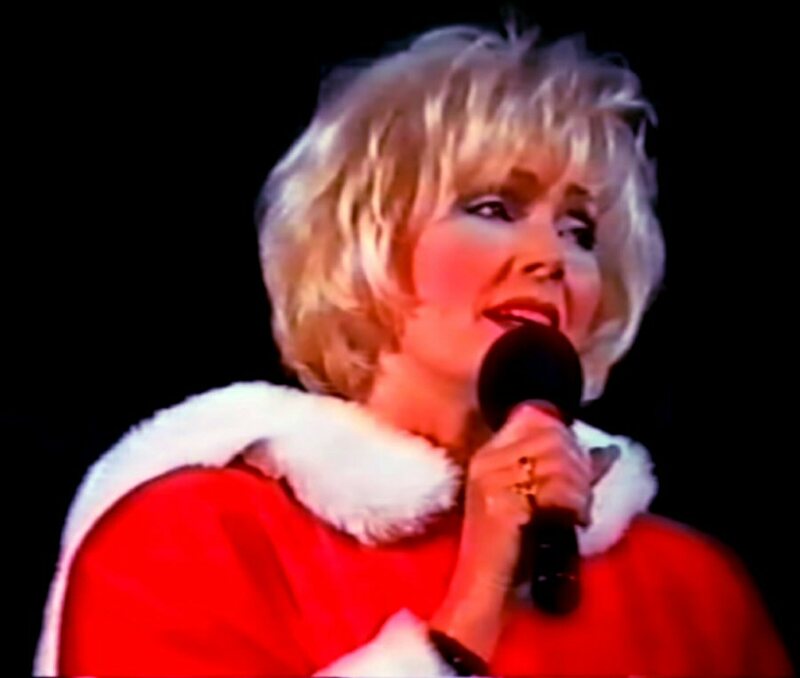 The album was due to be released before the Christmas season 1995. Helena remembers that it was a funny feeling to record Christmas songs at the beginning of summer. 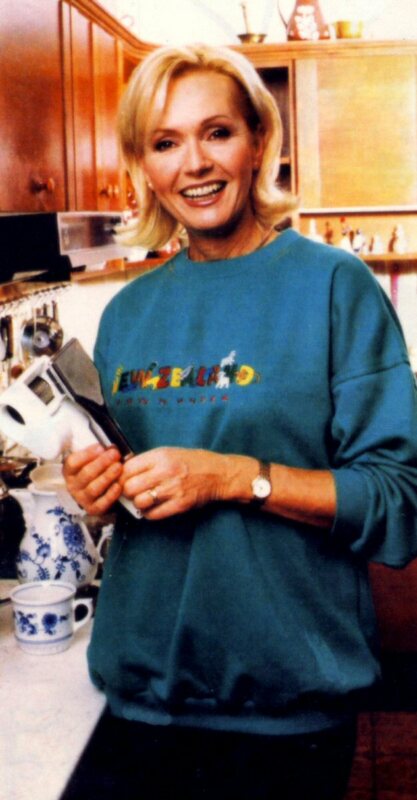 She and the album producers listened to Christmas Carrols in the summer heat in the garden in Helena's house in Ritka outside Prague. 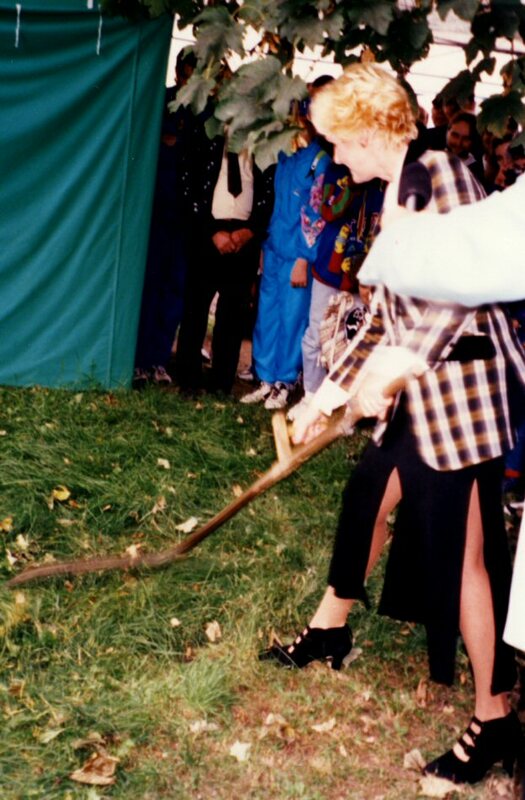 In the late summer Helena participated in the TV show entitled "Apple of the year" where she performed two songs and ... cut the grass. 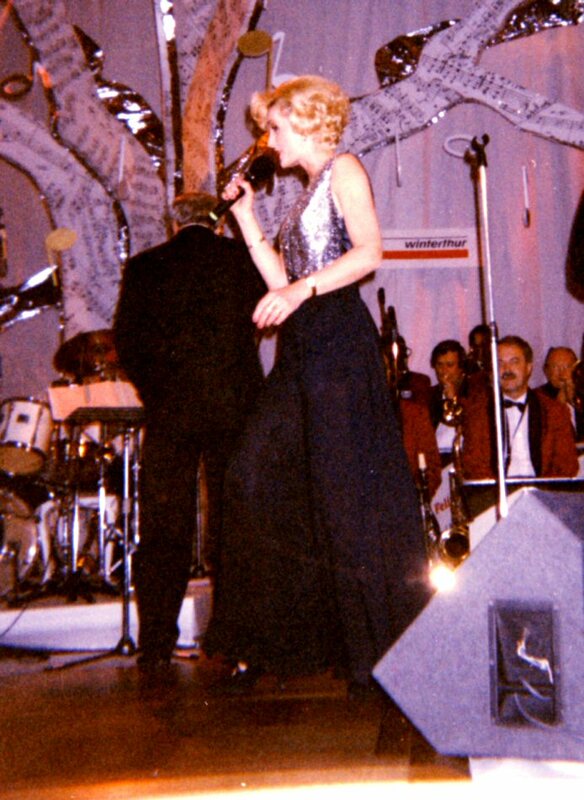 Helena participated in a big concert devoted to Elvis Presley at Lucerna in Prague. She performed "Love Letters" in English and "Hard headed Woman" in Czech with Jiri Korn. 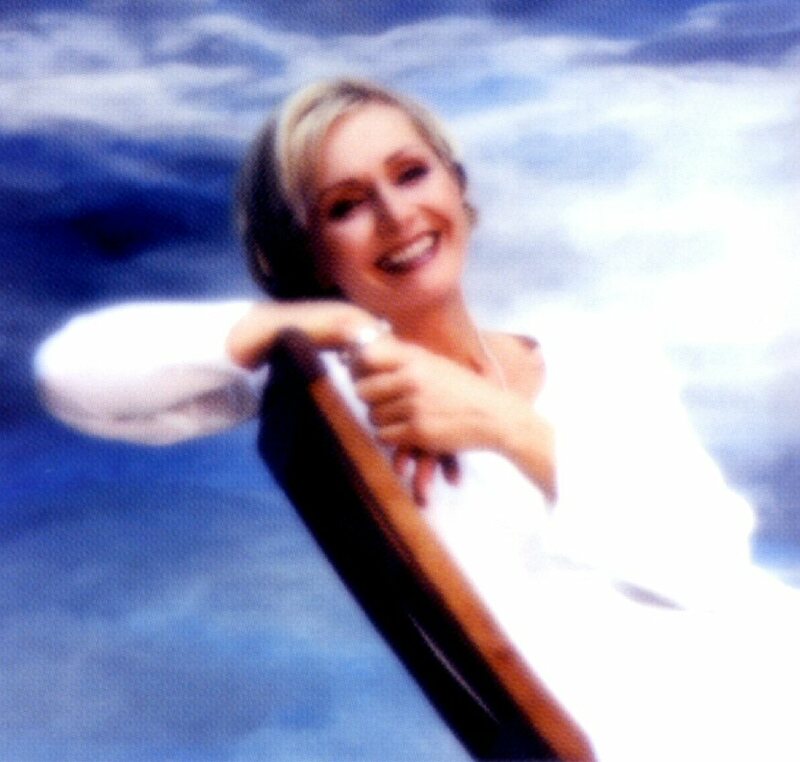 In autumn 1995 Helena released a new CD entitled "Vanoce s Helenou" (Christmas with Helena). 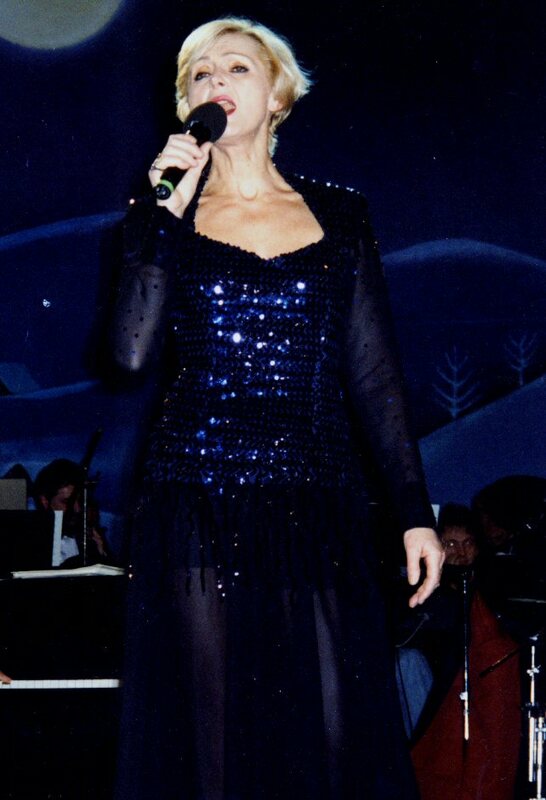 The album contained 14 Christmas songs chosen by the artist herself. The Lucerna Concert Hall in Prague was reserved for two big Helena concerts on 21 & 22 December 1995. Both shows were sold-out. Helena invited special guests: Marta Kubisova, Jiri Korn and Karel Cernoch. 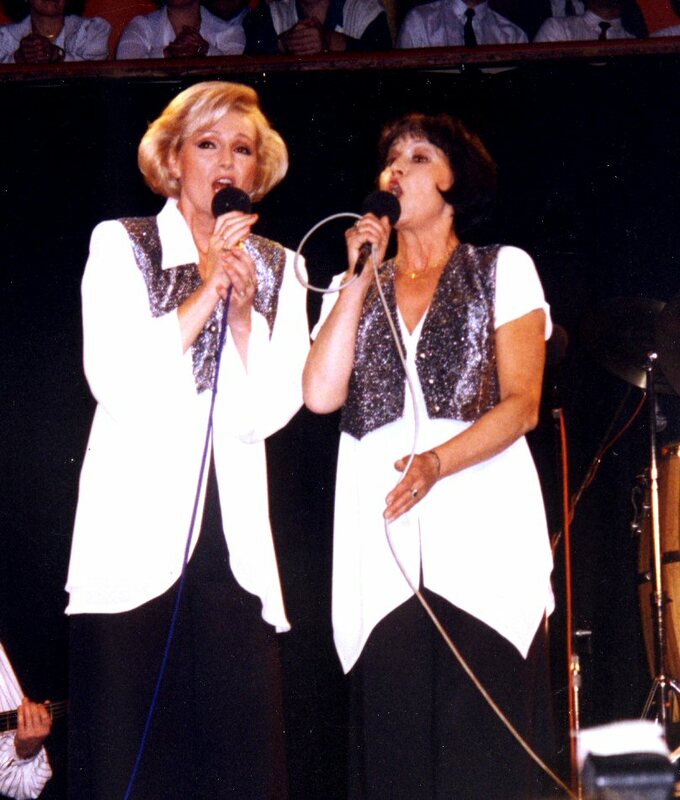 The show was recorded for CD release in 1996. 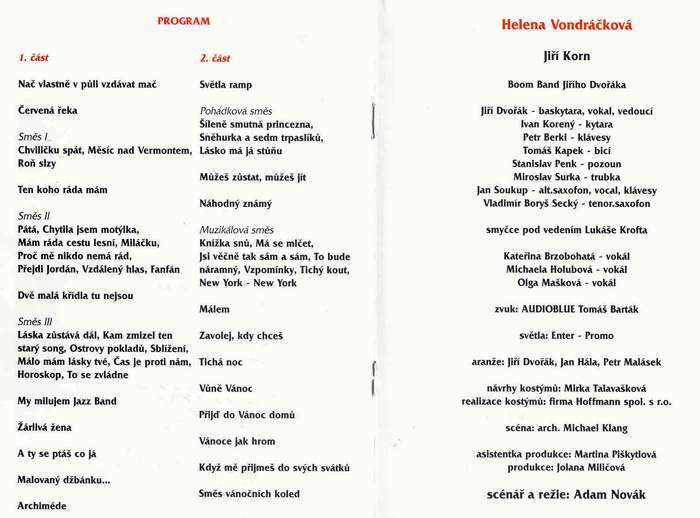 One of the most famous Czech lyrics writers Zdenek Borovec was celebrated by the artist elite featuring of course Helena. 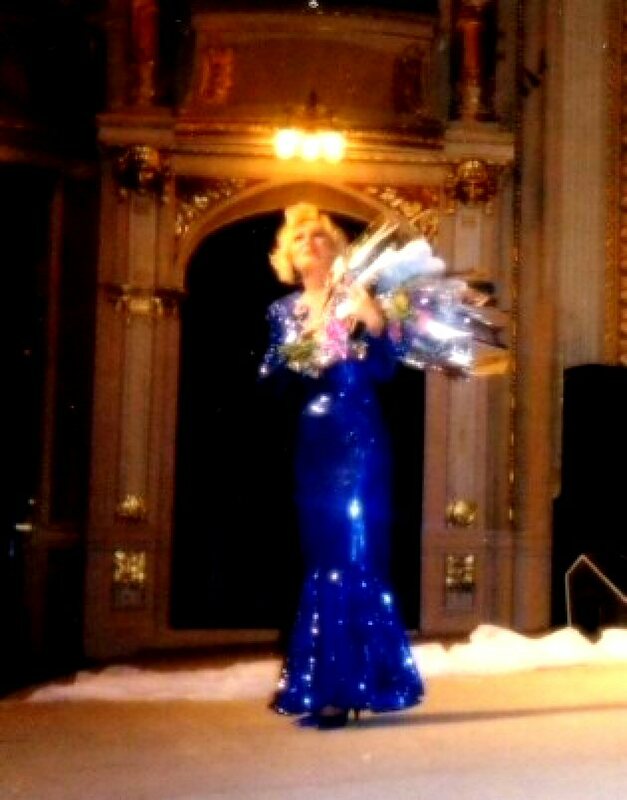 The birthday concert was held in January at the hotel Ambasador in Prague. 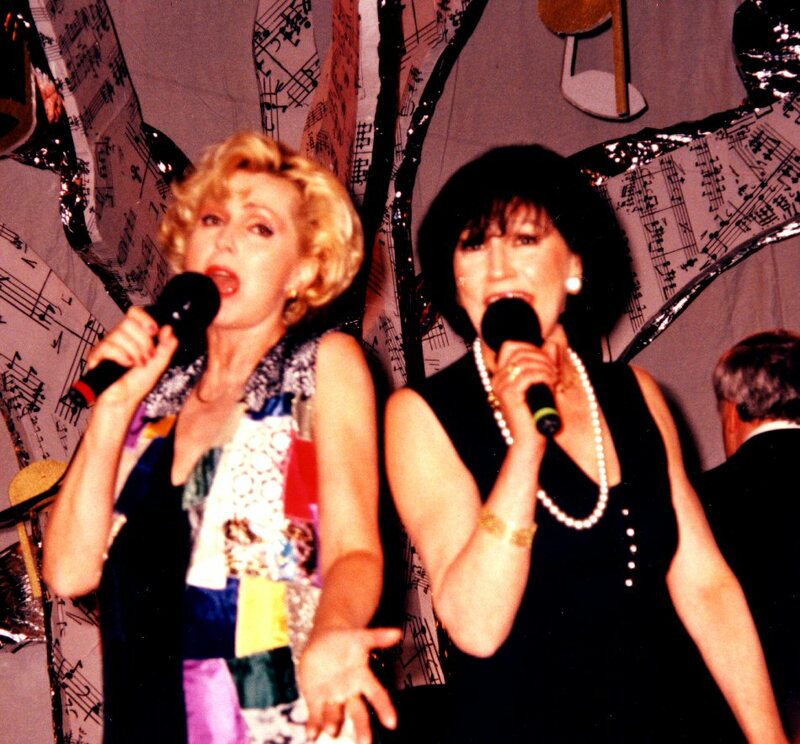 In June Helena and Marta performed their early hit "Oh Baby Baby" as special guests on the Bratislavska Lyra festival in Bartislava - Slovakia. 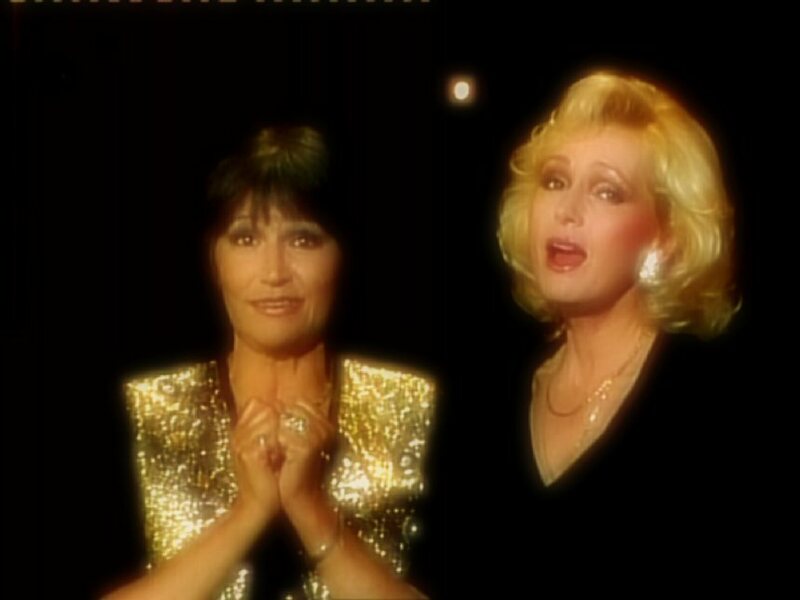 Helena and Jiri Korn became hosts for a new show series "To je soubyznys" (This is show business) where they even performed the title song. The idea behind the show was good entertaining with help of funny clips from old Czech TV shows. 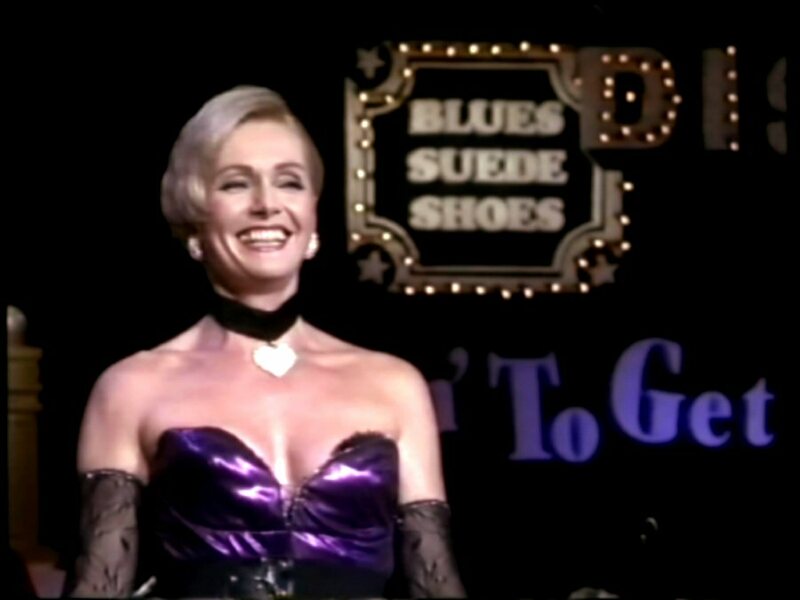 The CD "This is show business" saw its release in the spring 1996. 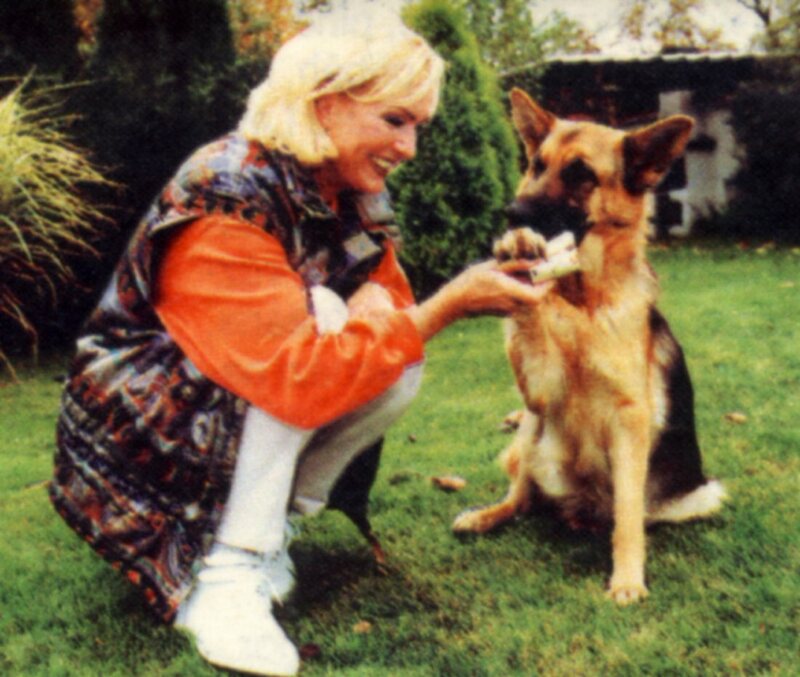 The album featured 18 songs recorded by Helena and Jiri Korn between 1976 and 1995. Even the title song from the TV show was included. 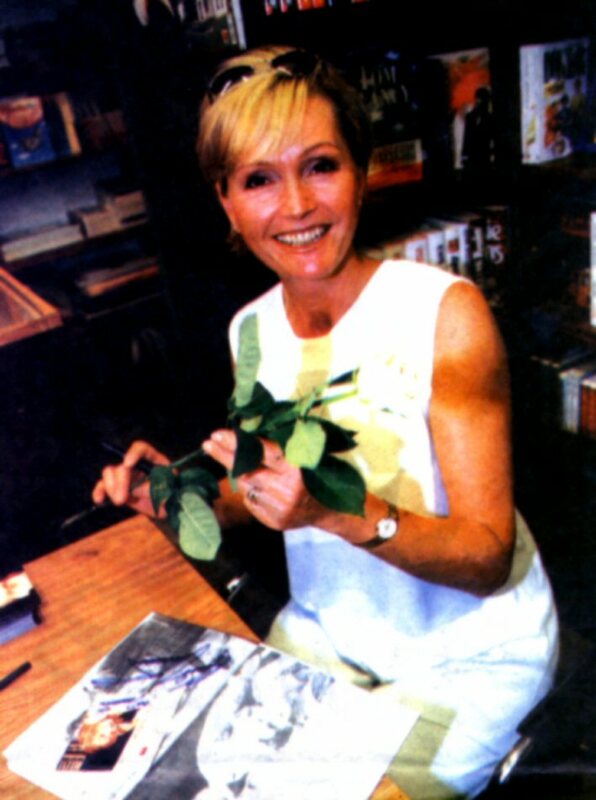 In 1996 the record company Supraphon released the first two CDs in the new series "The Collection of Helena Vondrackova". 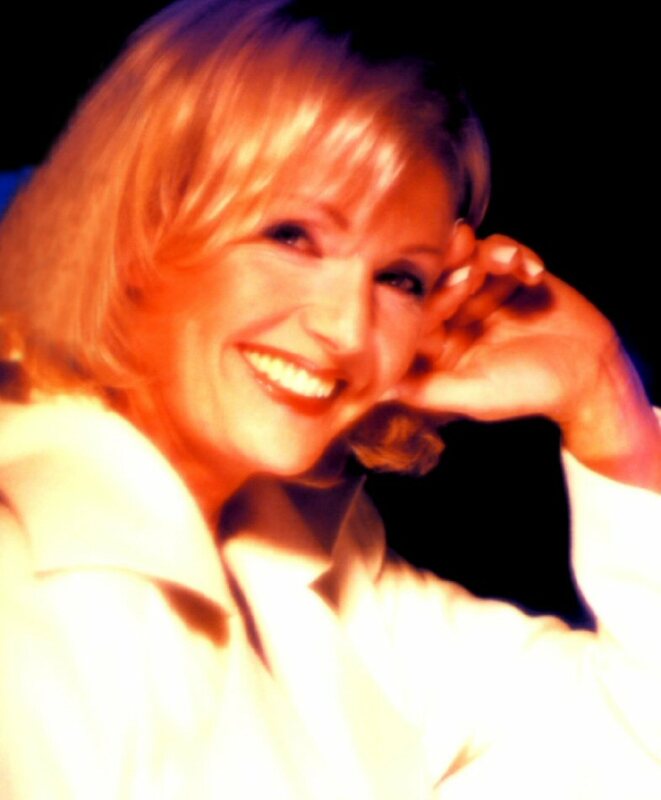 All Helena recordings made for Supraphon from the very beginning would be re-mastered and released on CD during the coming years. 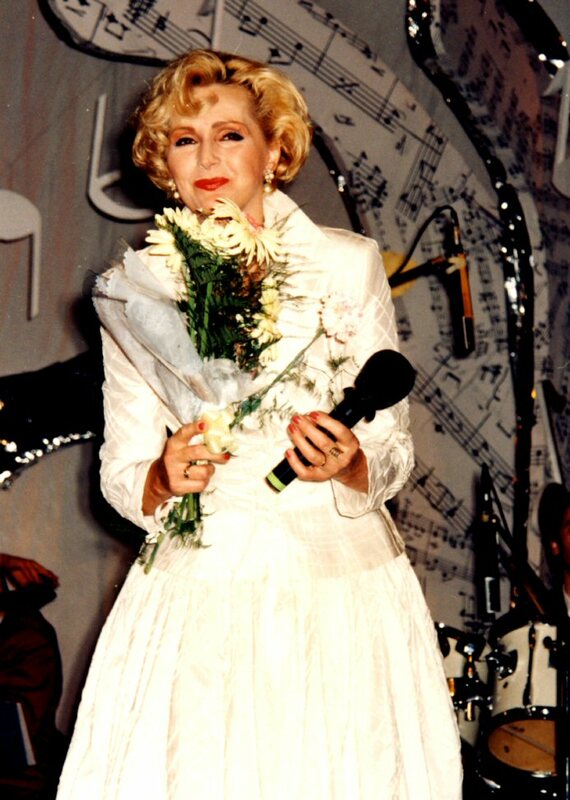 The first CD entitled "Ten koho rada mam" (The one I love) saw its release on May 22, 1996 and it featured 26 songs recorded by Helena between 1964 and 1966. 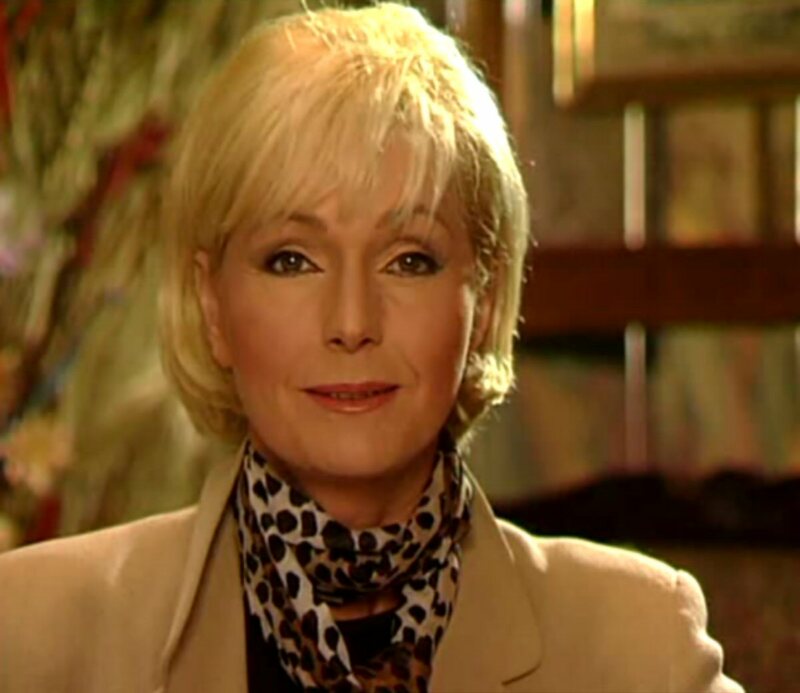 In the autumn Helena appeared on Czech TV in the show entitled "This is only rock'n'roll" where she gave an extended interview about the career, future and music. 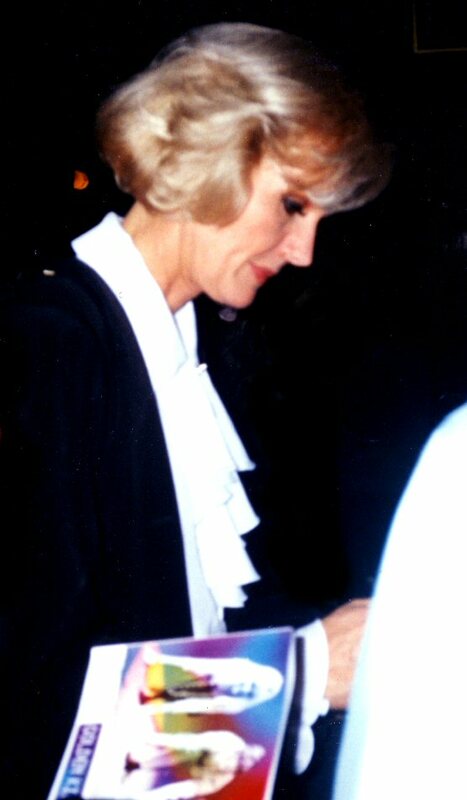 Several rare videos were shown in the show. 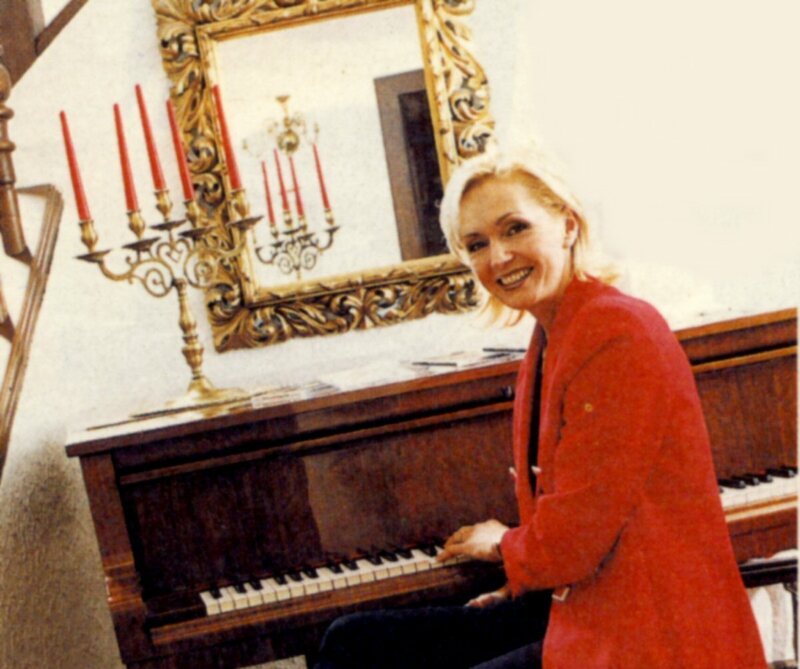 The Czech weekly "Vlasta" published a big article about Helena featuring lots of new photos in the autumn 1996. 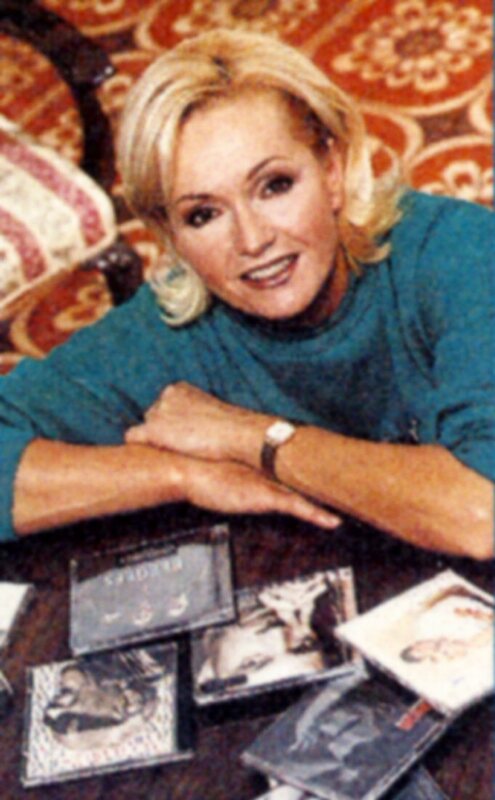 The second CD in the series "The Helena Vondrackova collection" saw its release on November 20th, 1996. 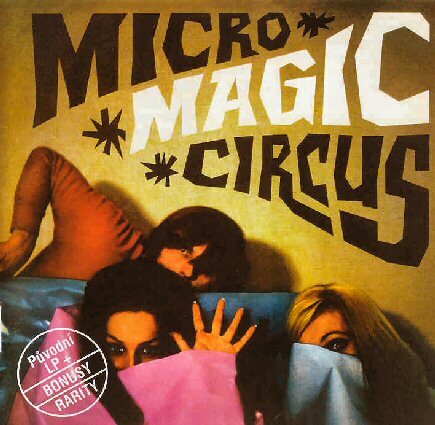 The CD contained 25 songs recorded between 1964 and 1967. 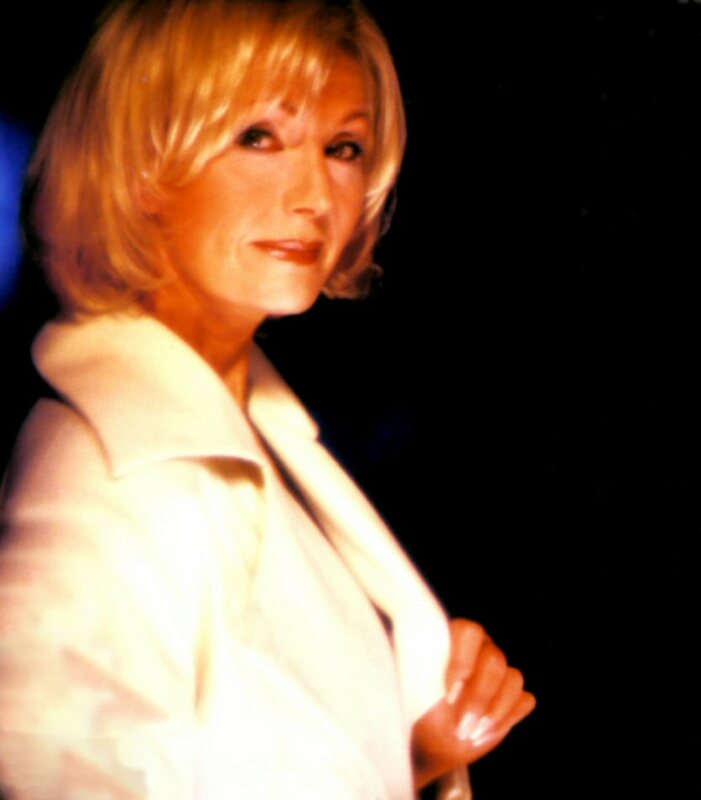 After the huge success of Helena's Christmas shows in December 1995 and the first Christmas album released in 1995 the follow-up CD was released in 1996. 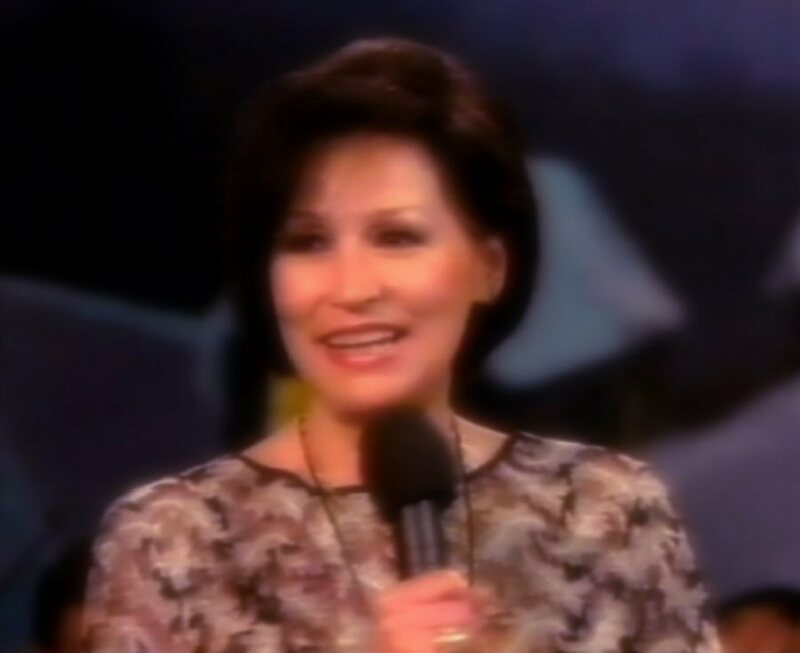 The album was called simply "Vanoce s Helenou 2" (Christmas with Helena 2) and it featured a live recording from the concerts in Lucerna in December 1995 with special guests: Marta Kubisova, Jiri Korn and Karel Cernoch. 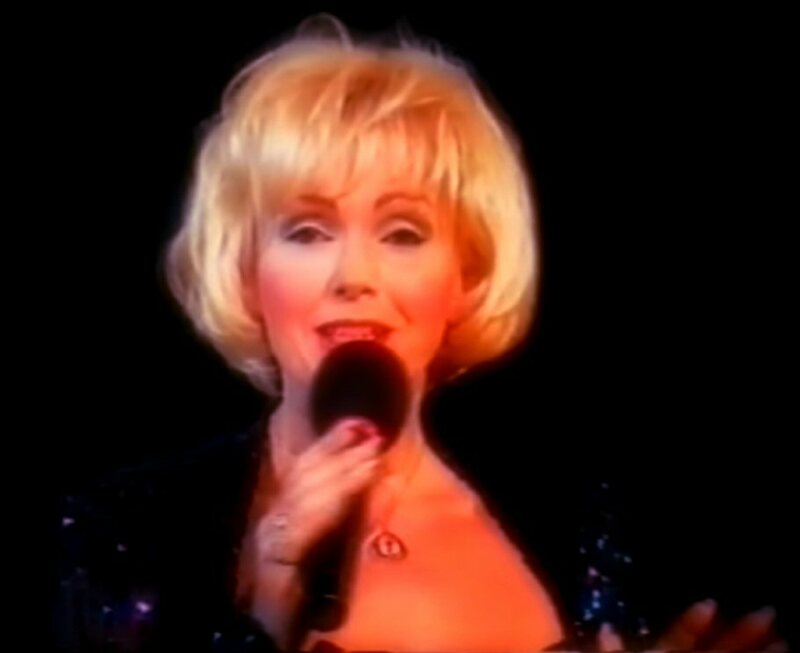 Helena promoted her second Christmas album on TV and in the press with new image and new hair-cut that really made her looking 20 years younger than before. 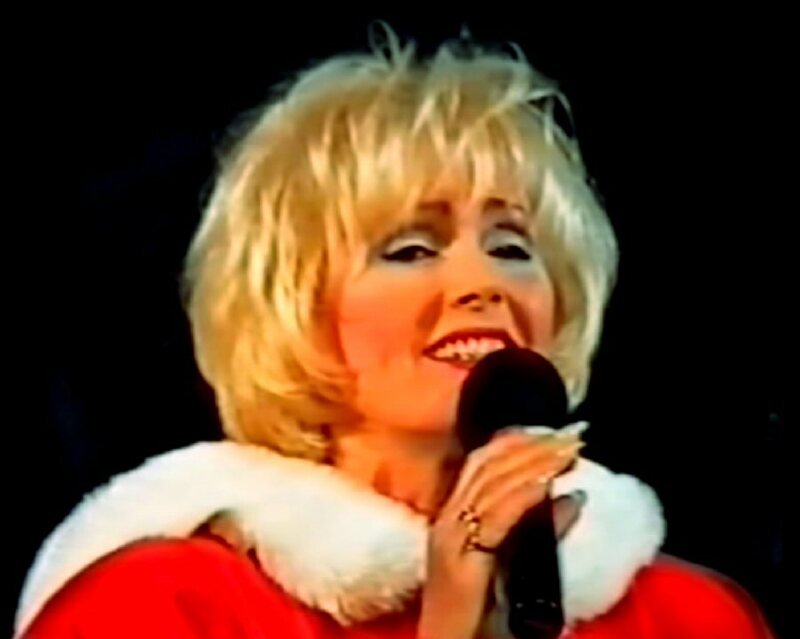 The release of the Christmas 2 CD was celebrated by traditional in Czech Republic "christening" together with Marta Kubisova and Karel Cernoch who were guest artists on it. 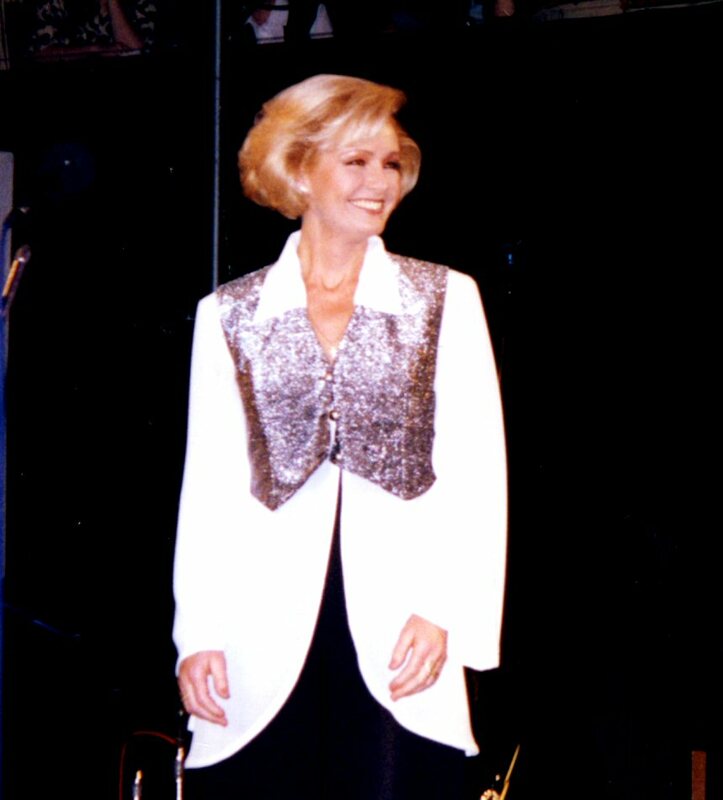 In December 1996 Helena was back on Lucerna's stage and performed her favorite Christmas Carrols and well-known musical hits together with her guests Marta, Jiri Korn and Karel Cernoch. 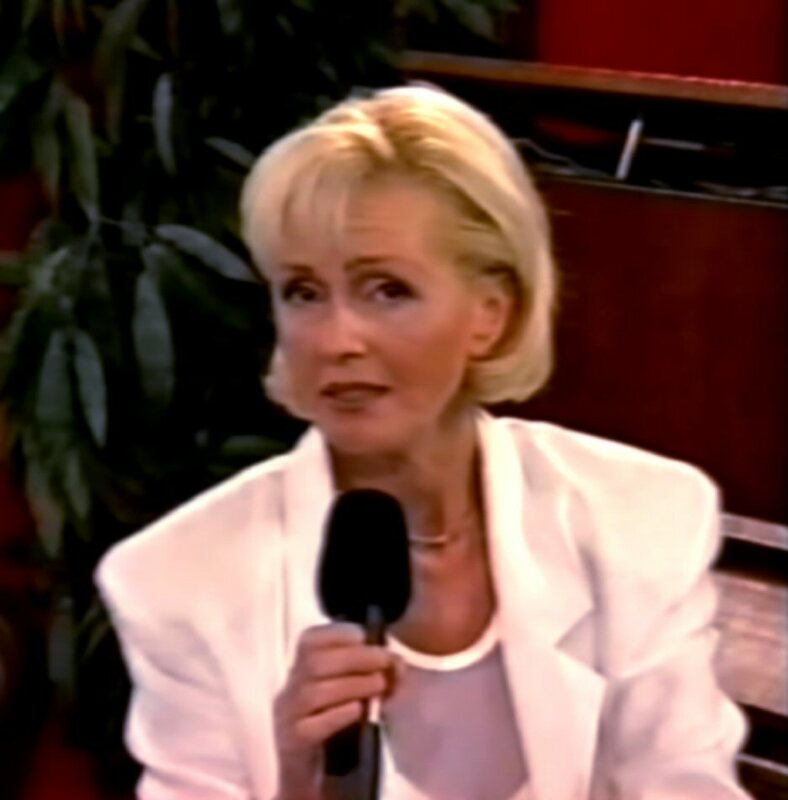 The 1995 concert was broadcasted by Czech TV as a part of promotion of the second Christmas album. 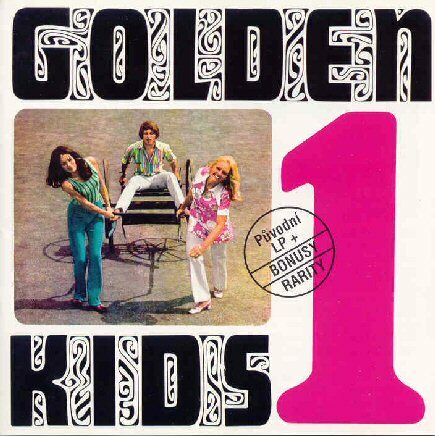 At the beginning of the year the two original LPs recorded by Golden Kids in 1968 & 69 were released on CD with extra bonus tracks. During the spring Helena recorded a new album entitled "Movie Classics" which was aimed for international market. It contained 11 well known songs from well-known movies as: Rocky III, American Gigolo, Bodyguard, Top Gun and many more. 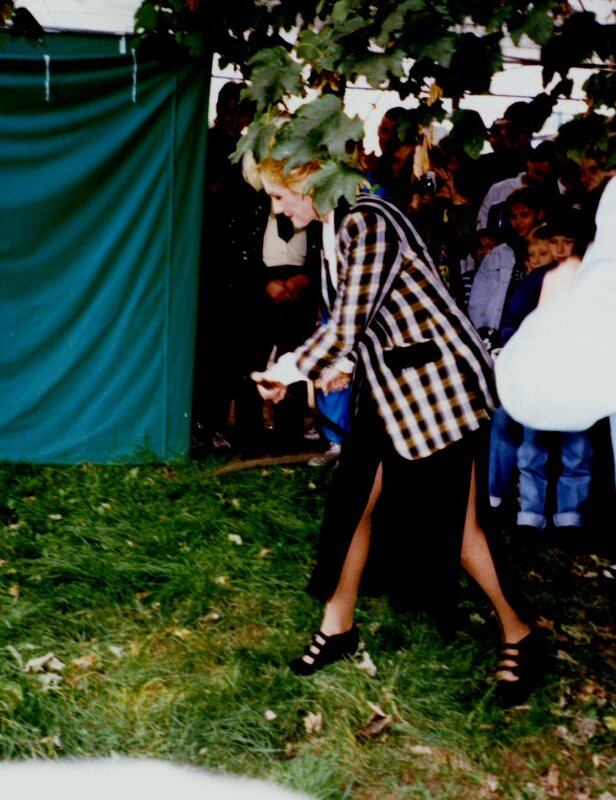 In June 1997 Helena celebrated her 50th birthday. 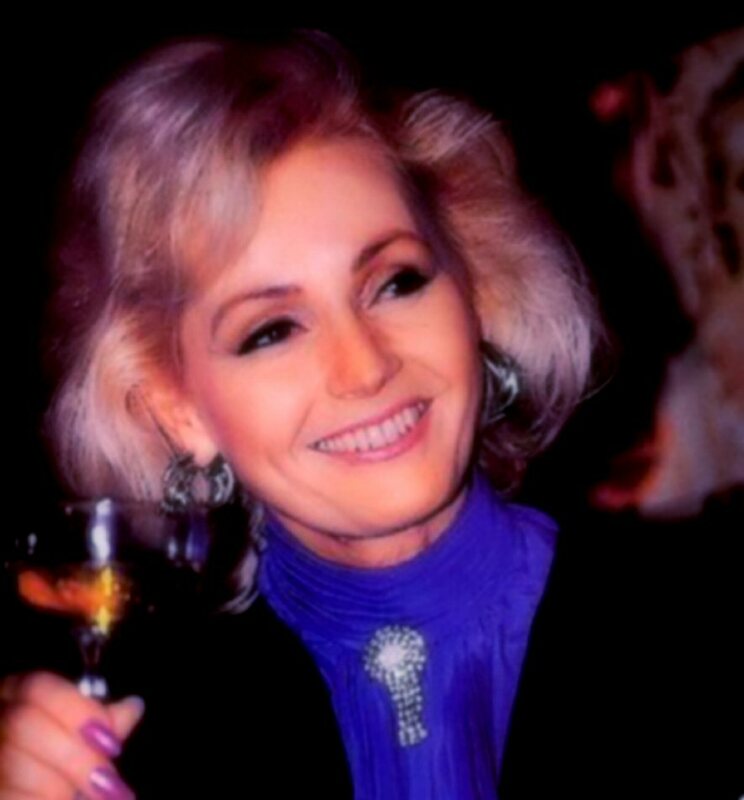 A new book about the singer was released in Czech Republic in connection to this event. 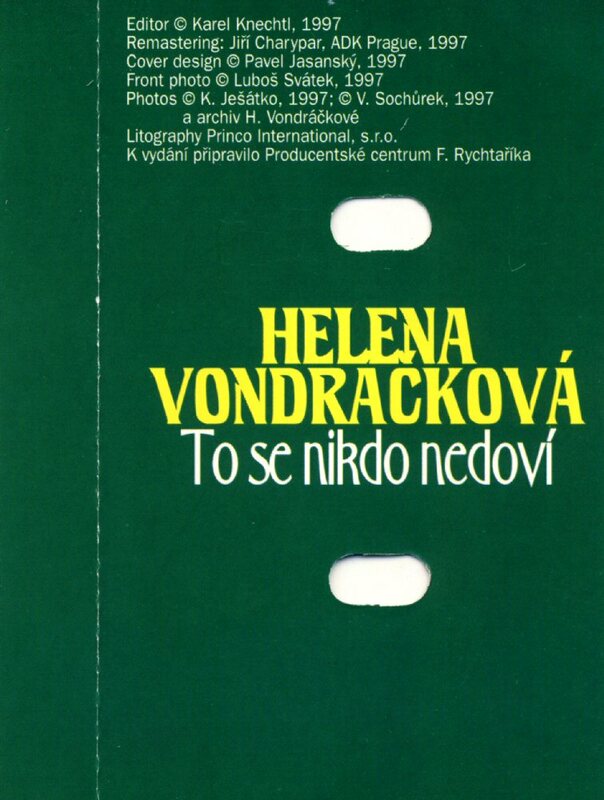 The book was entitled "Helena about herself (and celebrities about Helena)". 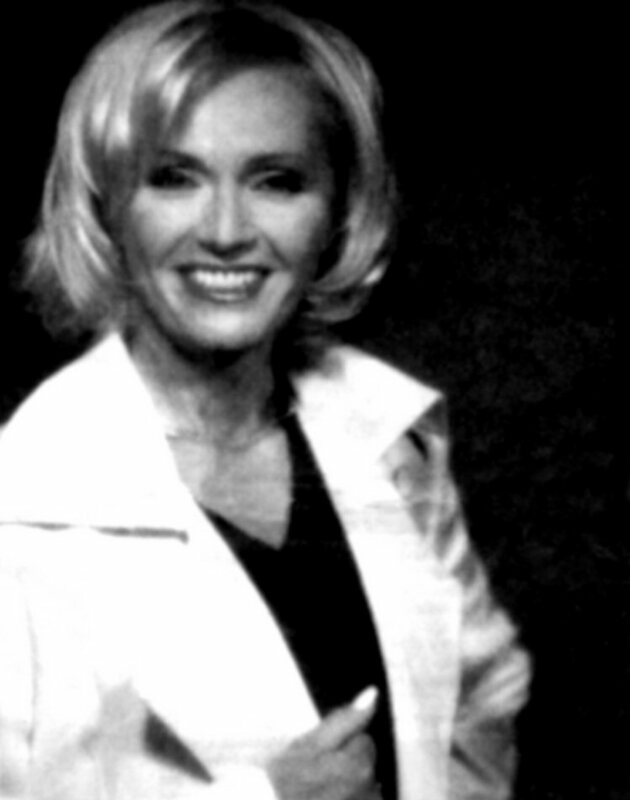 Helena gave several interviews and posed for photo sessions in connection to the forthcoming concerts in Lucerna in December 1997. 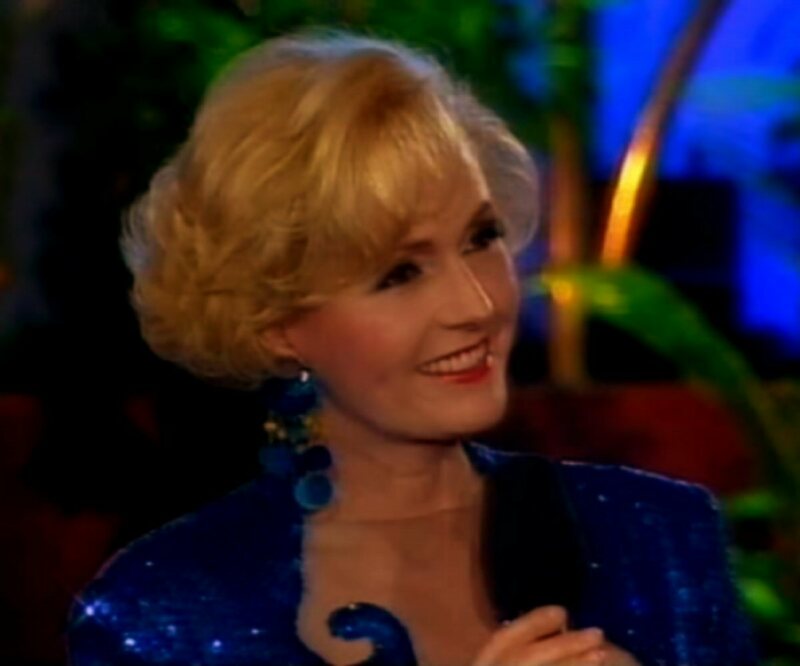 In the autumn 1997 the TV channel "Prima" made an extended interview with the singer. 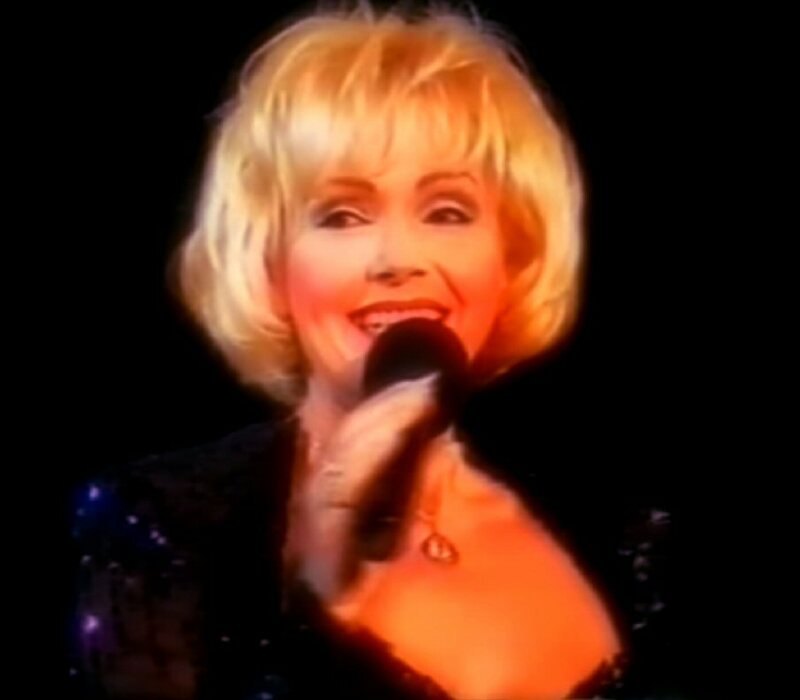 Helena presented for the very first time her new song - the cover of Whitney Houston's "Run To You" which she performed in English as the Czech lyrics did not exist at that time. The Czech version of "Run To You" would be released in 1998 on Helena's new studio album. 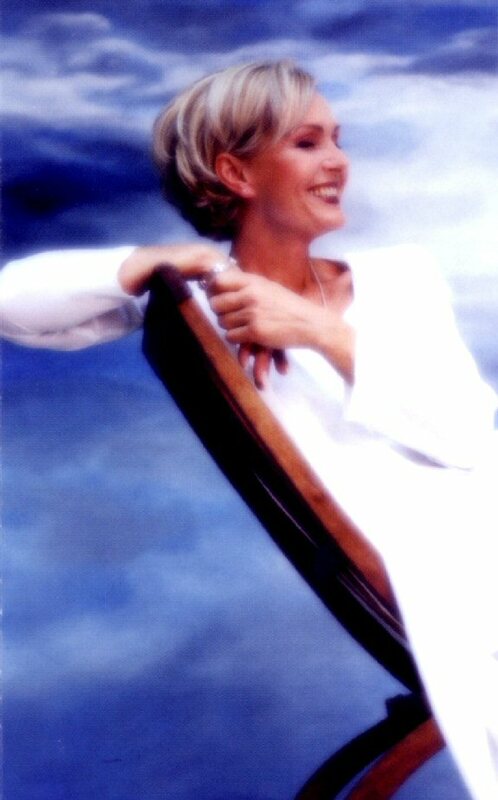 The third CD in the series "The Helena Collection" entitled after Helena's big hit "To se nikdo nedovi" (Nobody will know about it) saw its release on December 18th, 1997. The CD featured 22 songs recorded in 1968 and 1969, two of them previously unreleased. 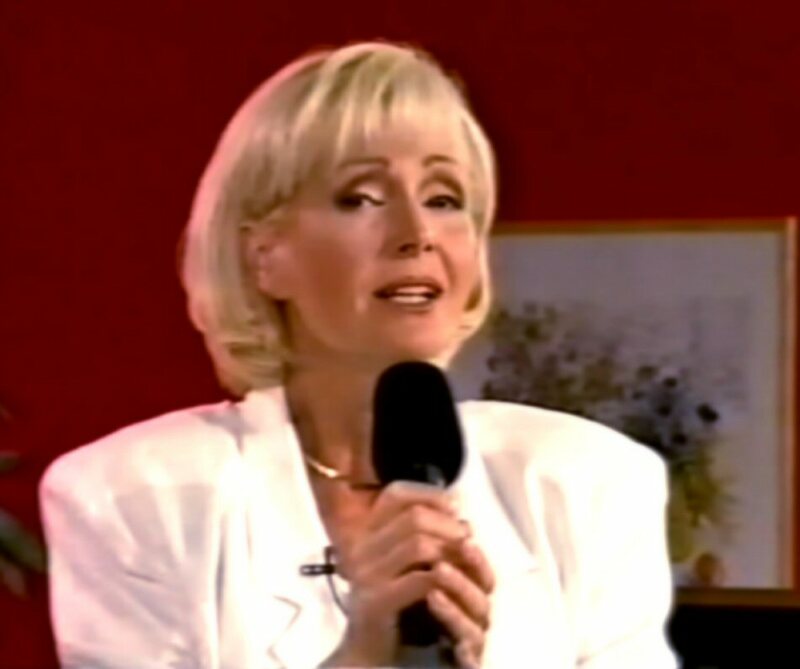 In December 1997 Helena sold out two evenings at Lucerna. This time she performed all her greatest hits and some new songs from a forthcoming album. 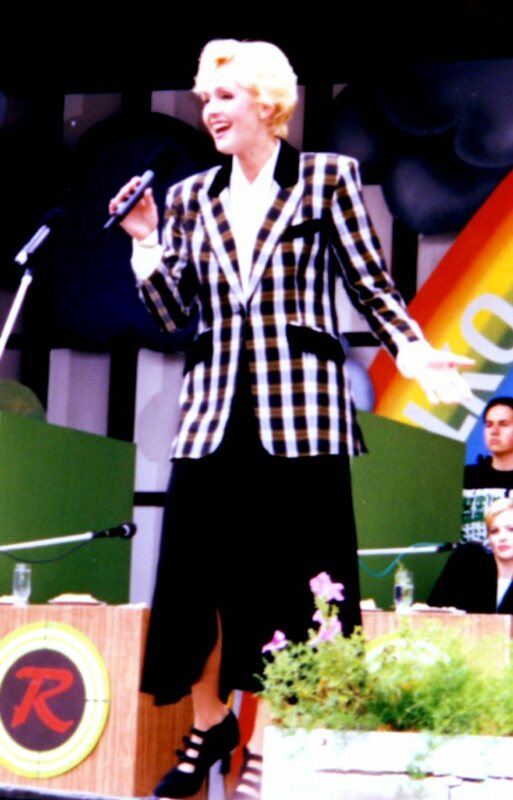 The show was recorded by both Czech TV and the record company "Supraphone" for release on 2 CDs in 1998. 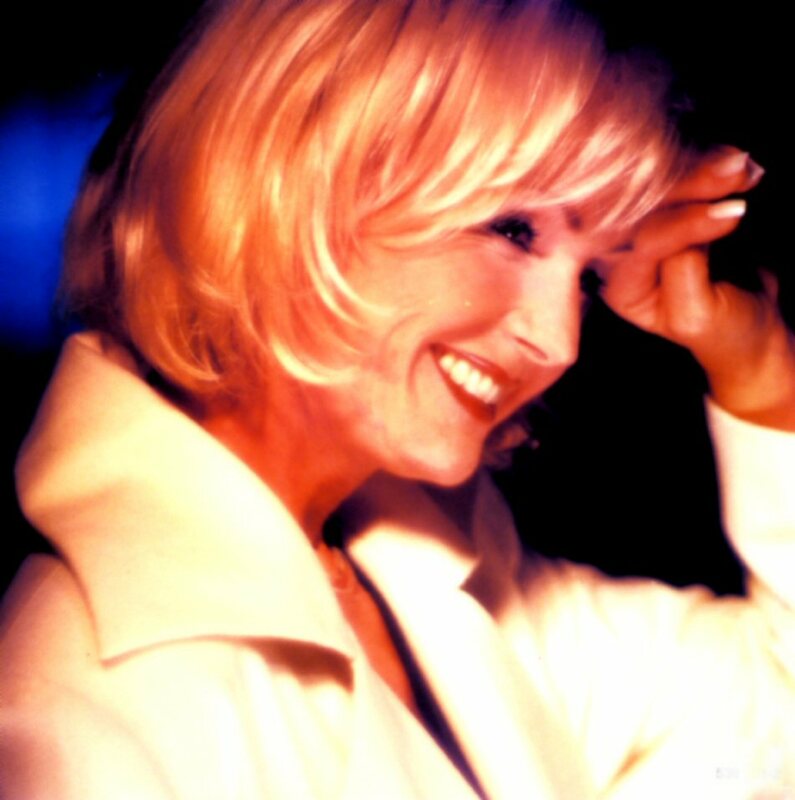 The both December 97 concerts at Lucerna in Prague were successful and sold out. 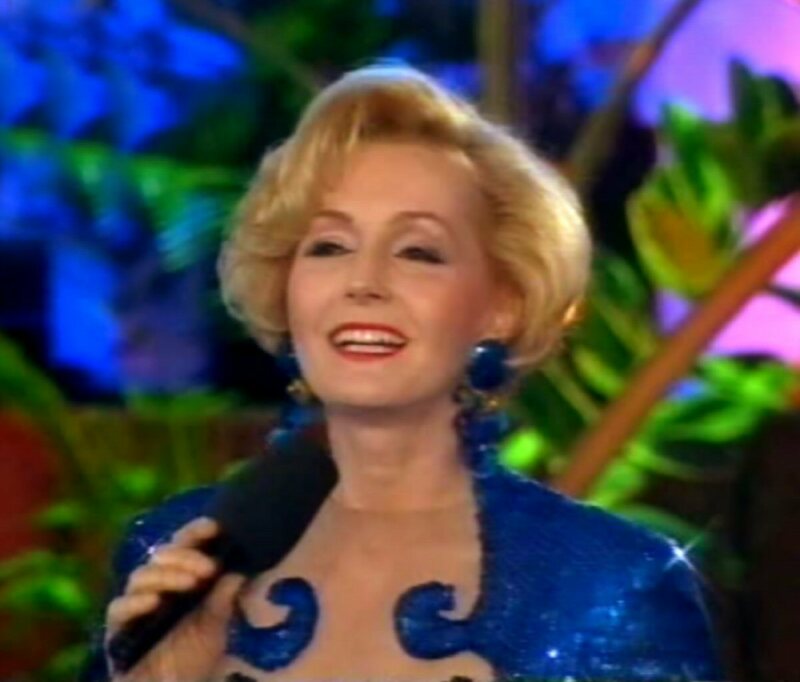 It was Helena's definitive comeback as a pop singer after several years filled with musical projects. 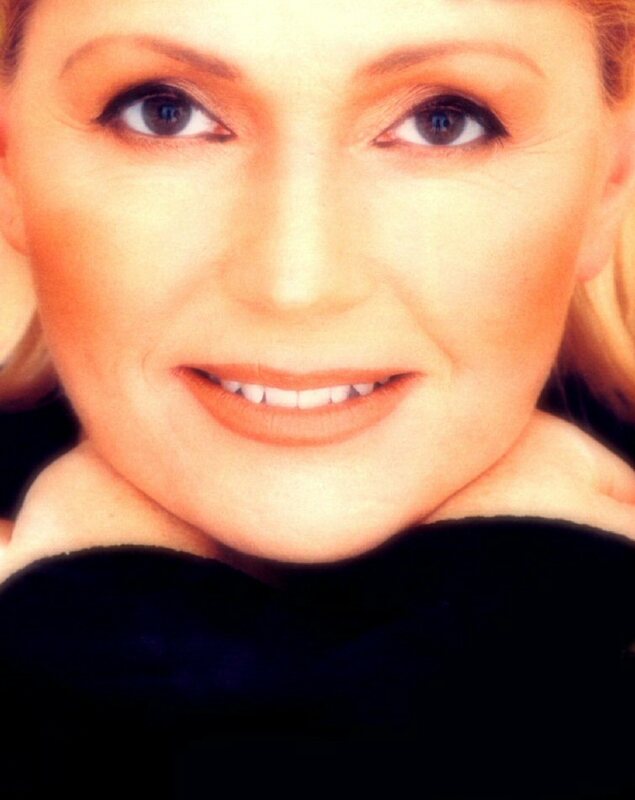 At the beginning of 1998 two CDs were released: "Helena in Lucerna 1 & 2". The year 1998 would bring totally 5 CDs with Helena's music. 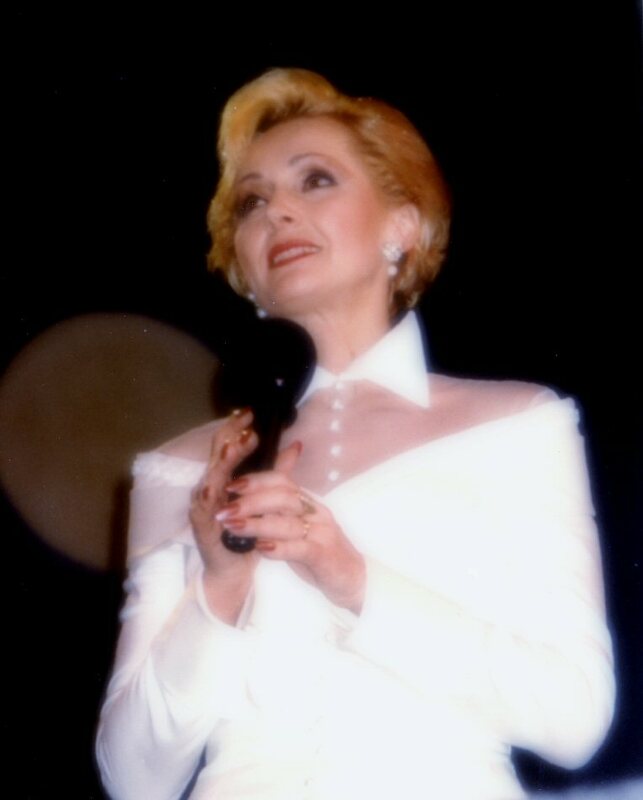 Two more "Helena Collection" CDs with her early recordings were released during the year. 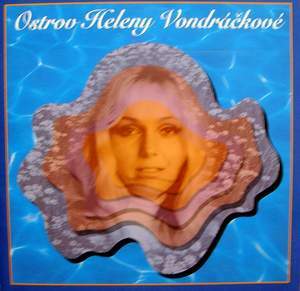 The first CD called "Ostrov Heleny Vondrackove" (The Island of Helena Vondrackova) covered her original LP from 1970 and contained lots of precious previously unreleased bonus tracks. 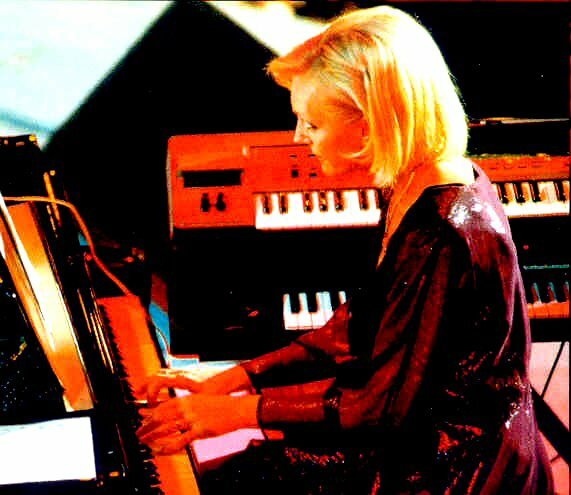 The second re-master featured the live performance originally released on the LP "Helena Helena Helena" in 1972 and several bonus tracks. 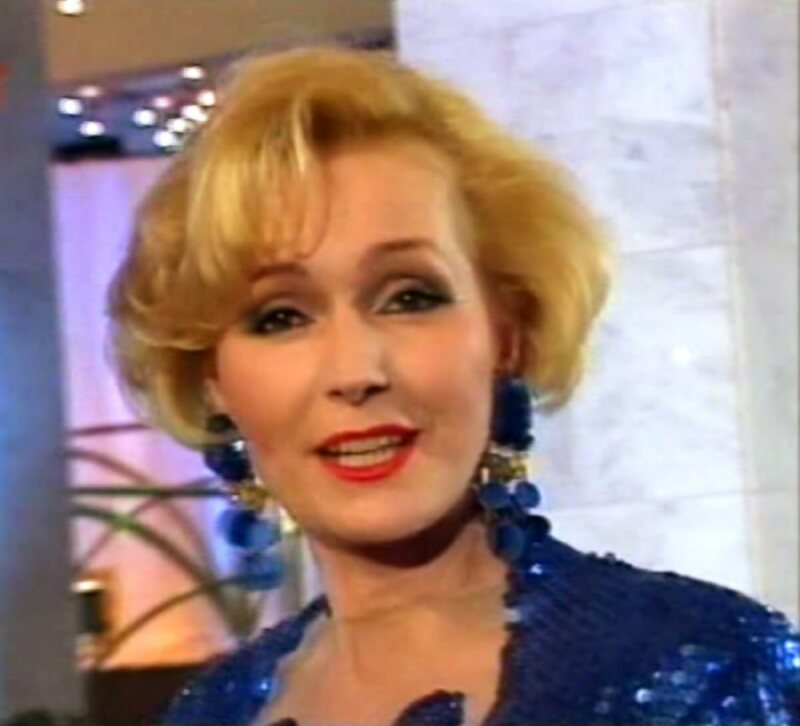 Czech TV re-started the series "This is show business" hosted by Helena and Jiri Korn in 1998. 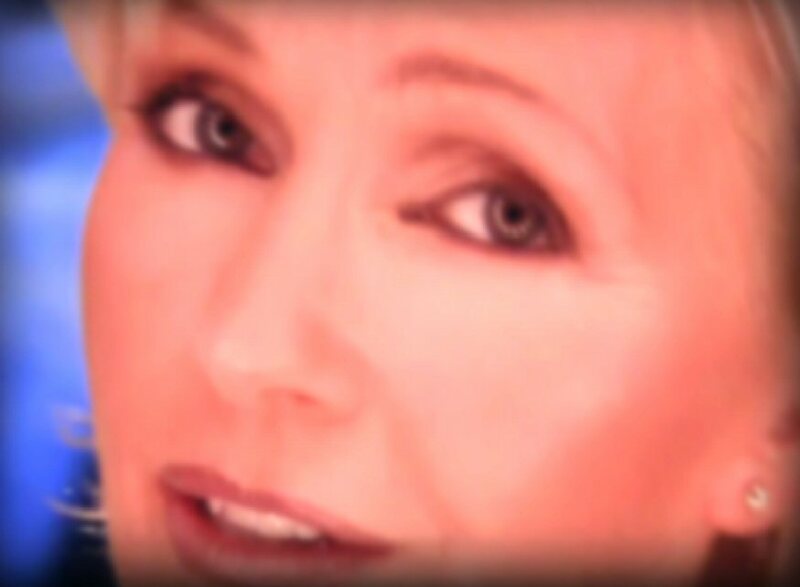 Long awaited new studio album was finally released in the autumn of 1998. 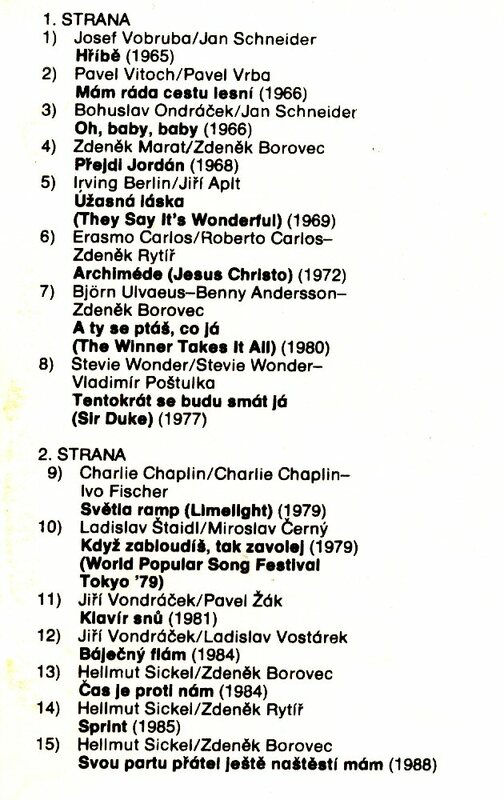 It was entitled "Nevzdám se hvezdám" (The stars will not stop me) and featured 14 songs. 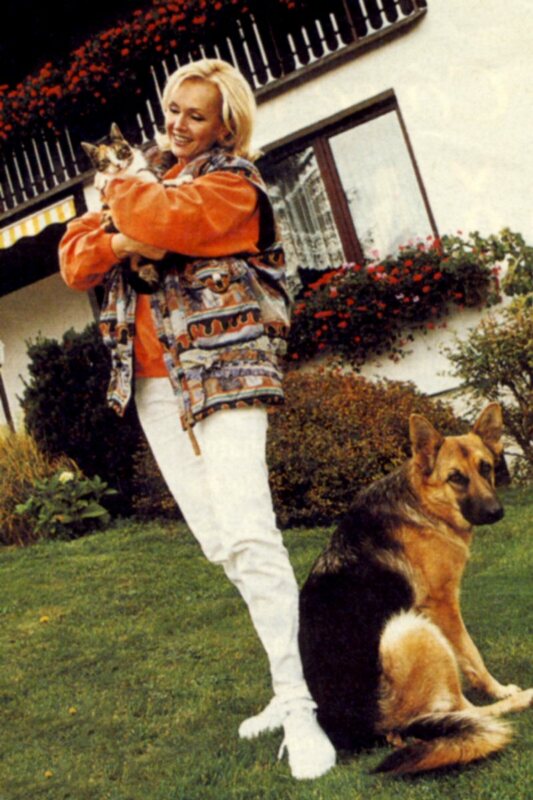 Helena recorded even one song together with an international star David Hasselhoff (More Than Words Can Say). She did a new recording of her old favorite song "Killing me Softly With His Song" as well as she covered Whitney Houston's hit "Run to You". 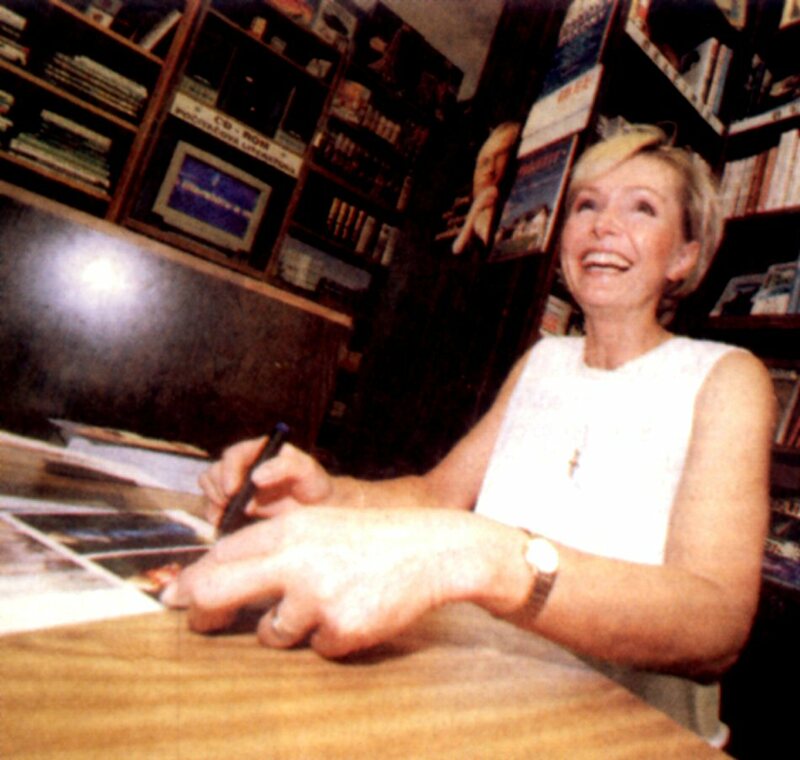 The album was a big seller in Czech Republic and Slovakia before the Christmas 1998. 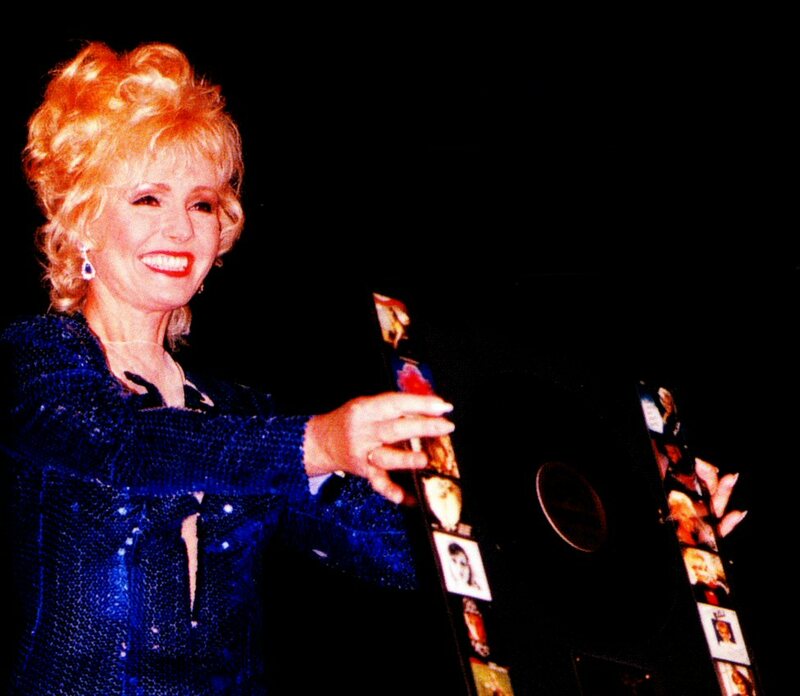 The special cassette edition contained two bonus tracks: "More Than Words Can Say" in English version and a medley of Helena's hits originally recorded live in Lucerna in December 1997. 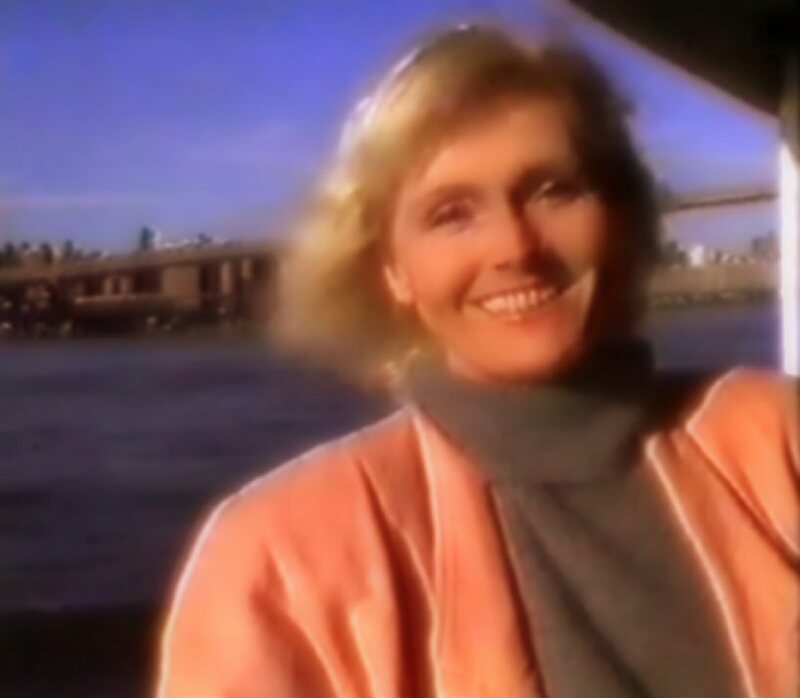 The video to Helena's and David Hasselhoff's song "More than Words Can Say" was recorded in Prague. 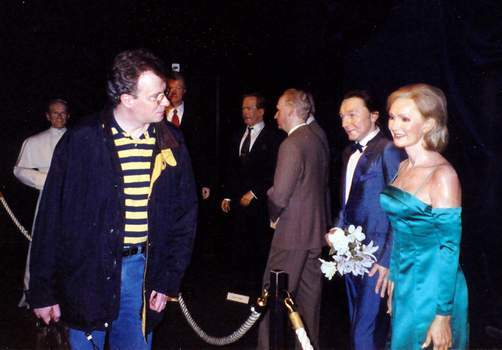 The Wax Museum in Prague presents Helena among other celebrities. 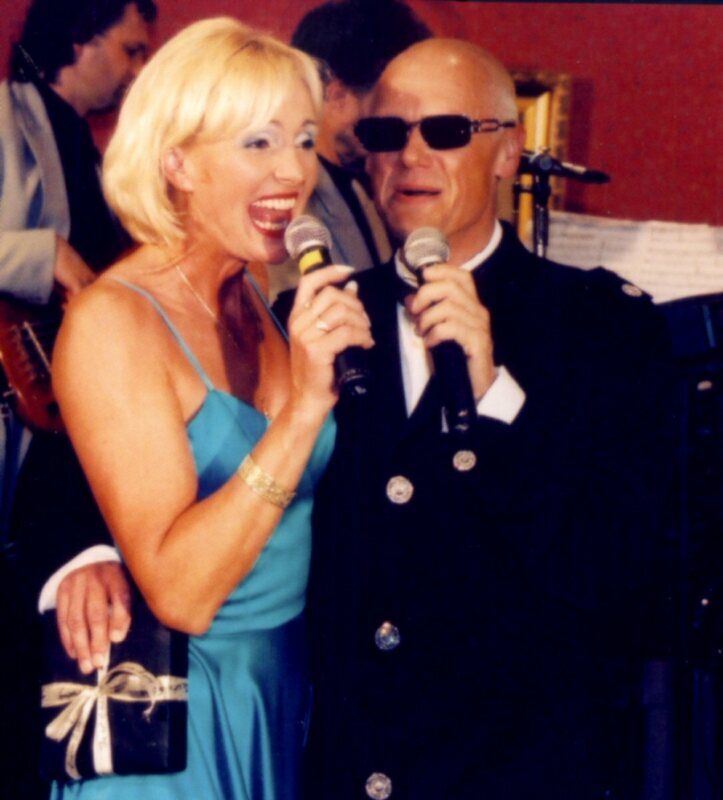 At the beginning of the year Helena and her husband Helmut Sickel started working with a new compilation album which would be called "Helena Gold". Helena did her own cover of the world hit "I Will Survive" performed originally by Gloria Gaynor. 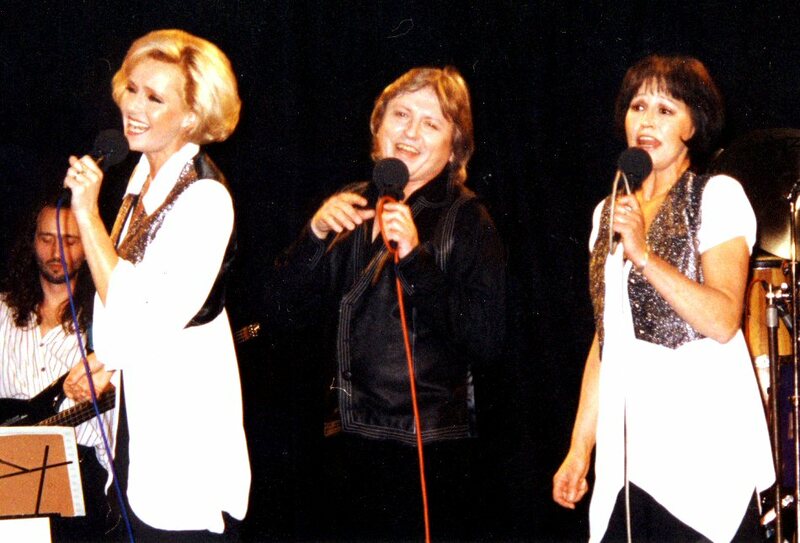 Several songs among them "A ty se ptas co ja" (The Winner Takes It All) were re-recorded with a new, more modern sound. Photographer Tomas Beran arranged an extended photo session for the album at the Prague restaurant "Manes". 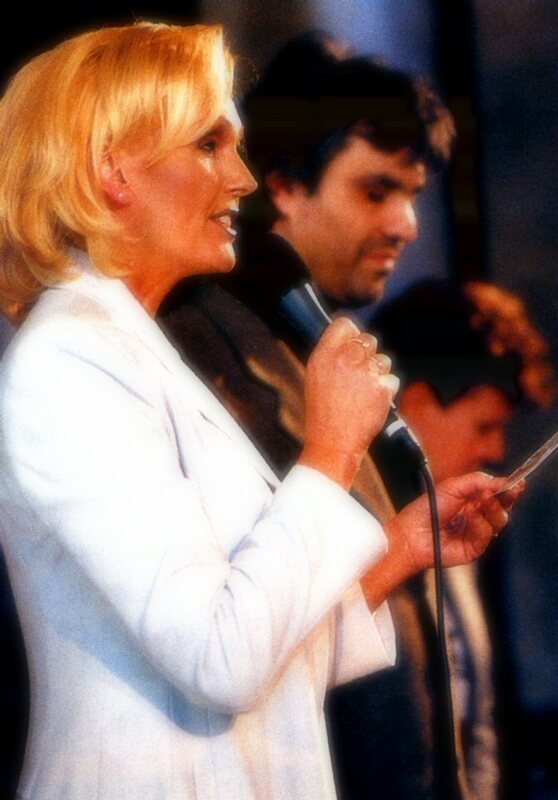 In March 1999 Andrea Bocelli came to Prague. 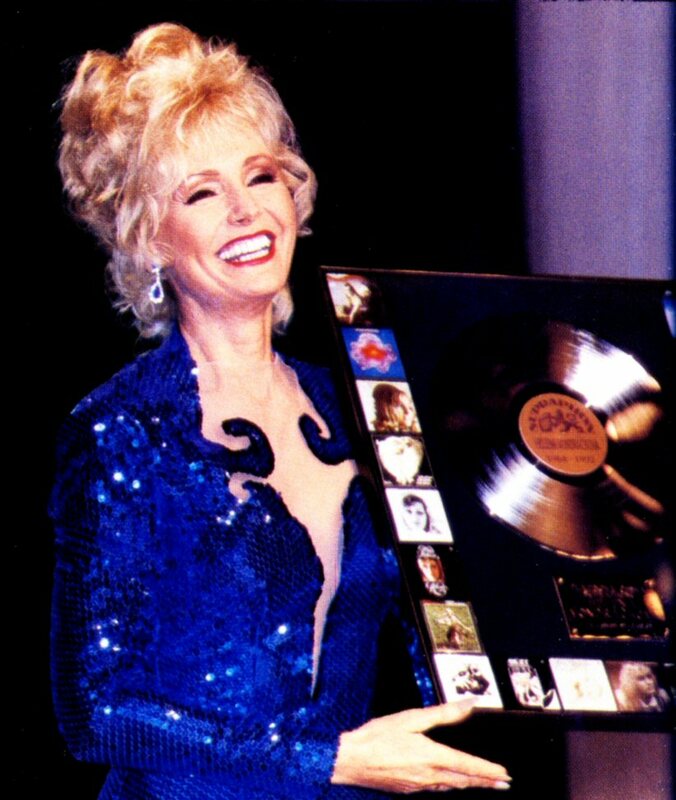 Helena represented record company Universal and she handed over 7 platinum records and 2 gold records for his sales in Czech Republic. 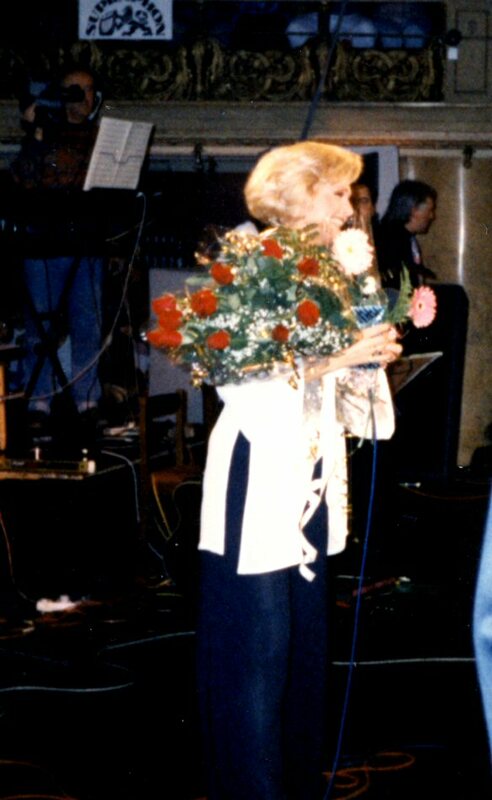 The sixth CD in the series "Helena Vondrackova Collection" featured the remastered version of her LP "Helena and Strici" and bonus tracks. 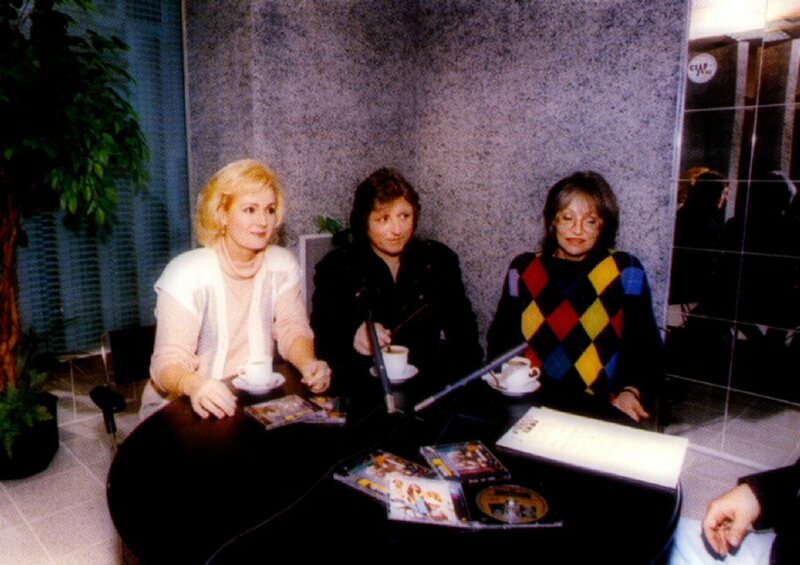 Helena together with three other pop stars from Central Europe: Maryla Rodowicz (Poland), Zsuzsa Koncz och I. Schücz (Hungary) participated in the TV show on German TV. The fashion paper "Style" published pictures from Helena's house in Ritka outside Prague. 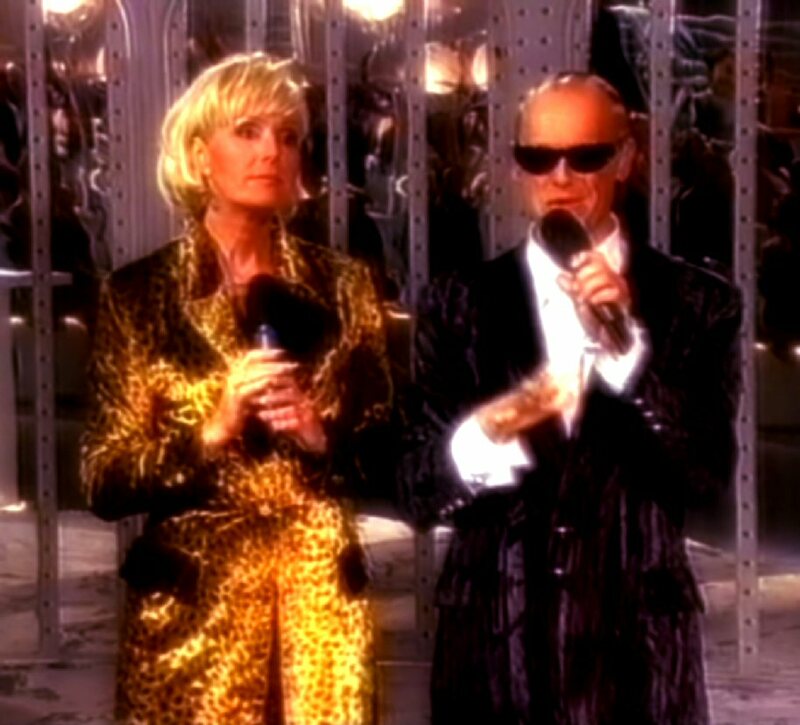 Helena participated in the New Year's Eve TV show where she performed her version of "Sir Duke".